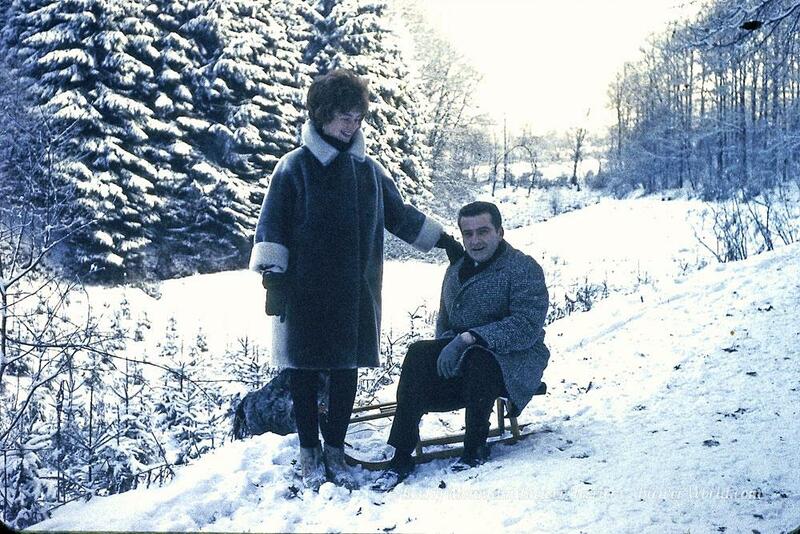 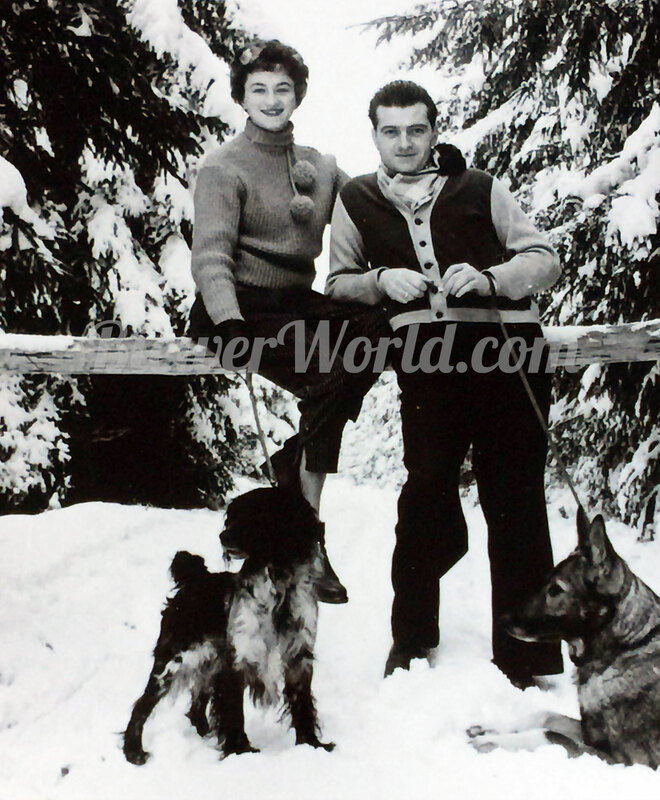 Where did all these never seen photos of Werner & Gertrud Biewer come from? 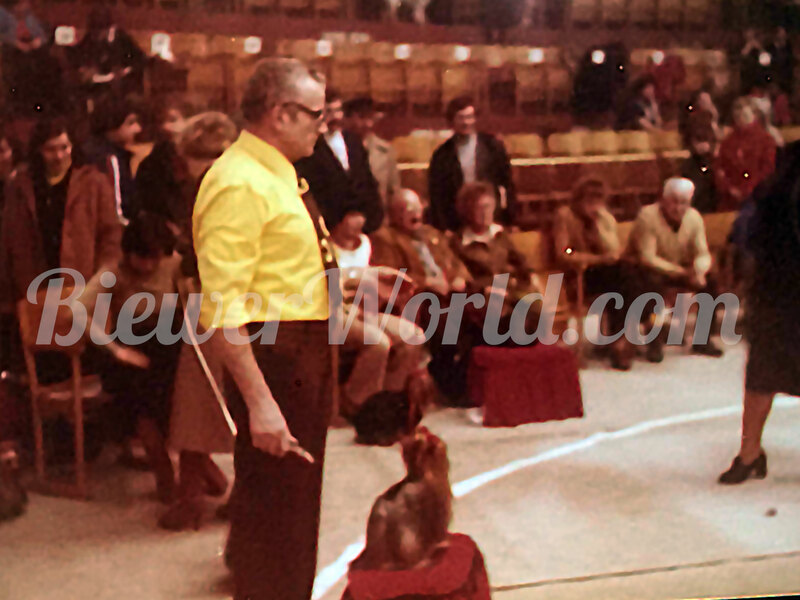 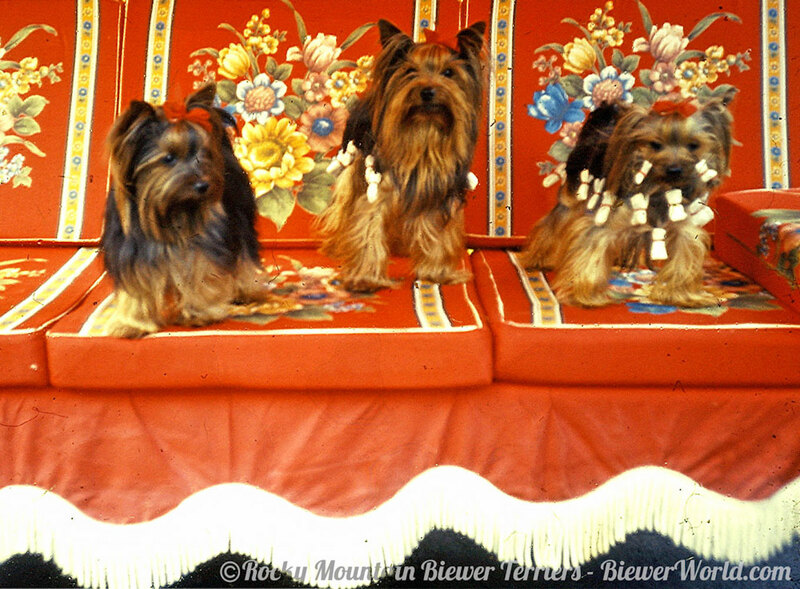 Many of us have been searching the internet for a picture of Gertrud & Werner Biewer with original Biewer Yorkshire Terriers from Germany. 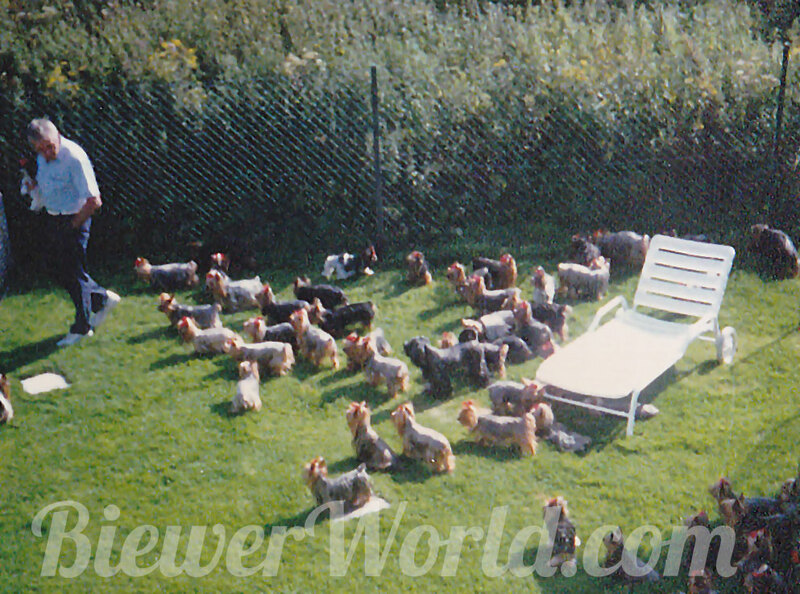 You probably found a few photos on Biewer Breeder or Club websites, but never really anything that you haven’t read or seen before. 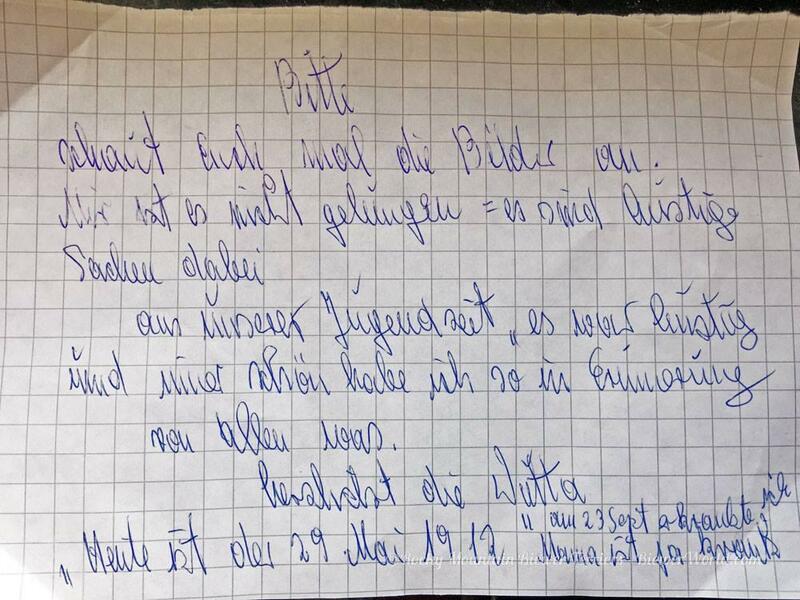 In December 2018, just right before Christmas, Monika from Germany contacted us. 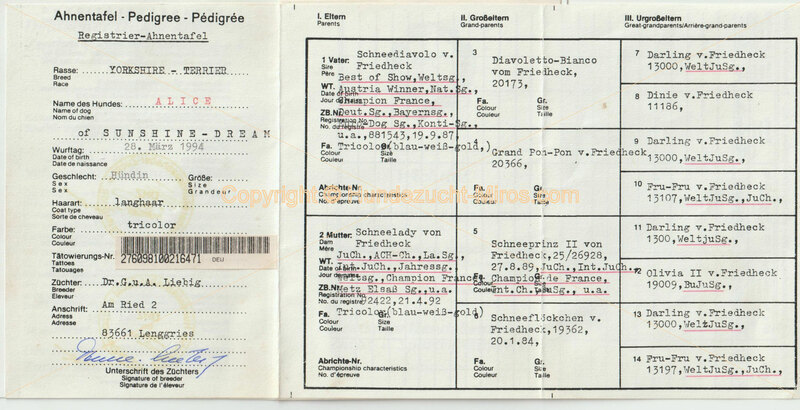 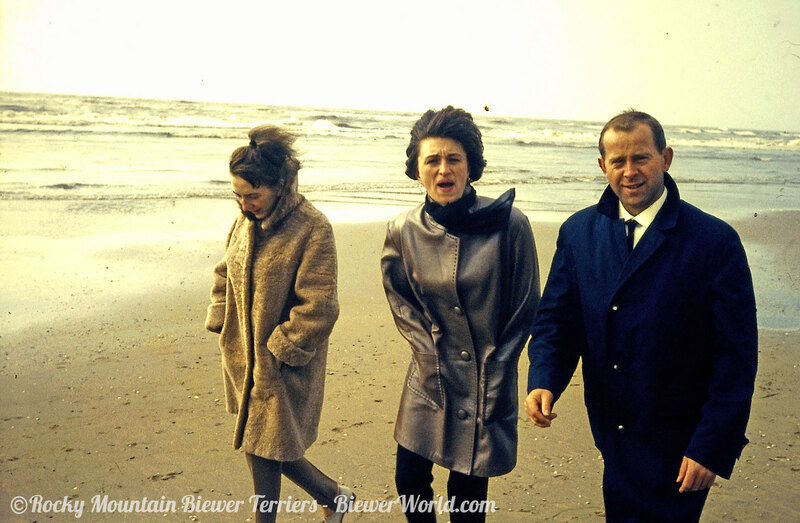 She was the niece and goddaughter of Werner & Gertrud Biewer. 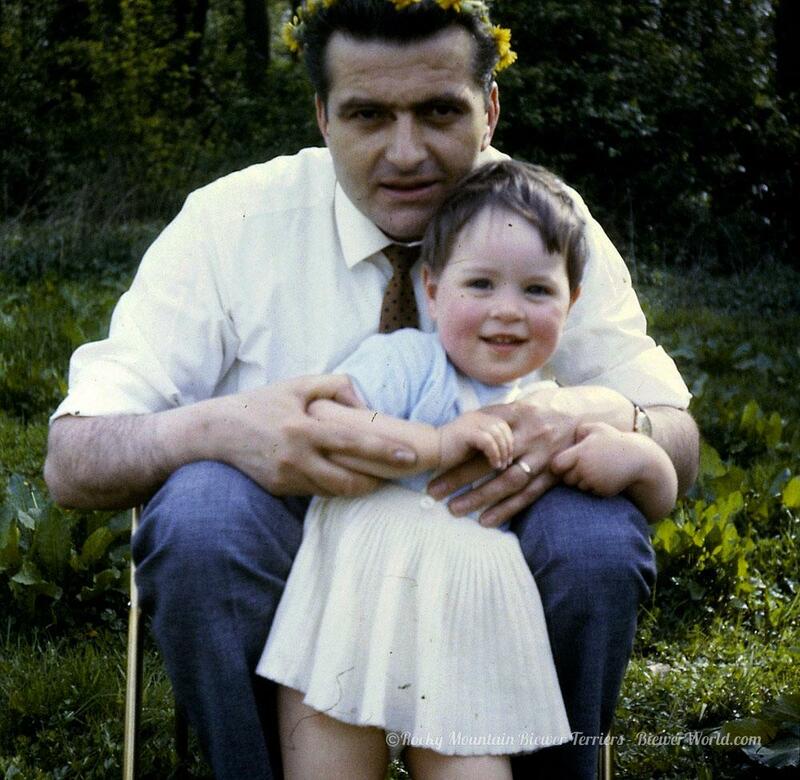 Her father has been very ill and she spent a lot of extra time with him to make sure his last days will be filled with joy. 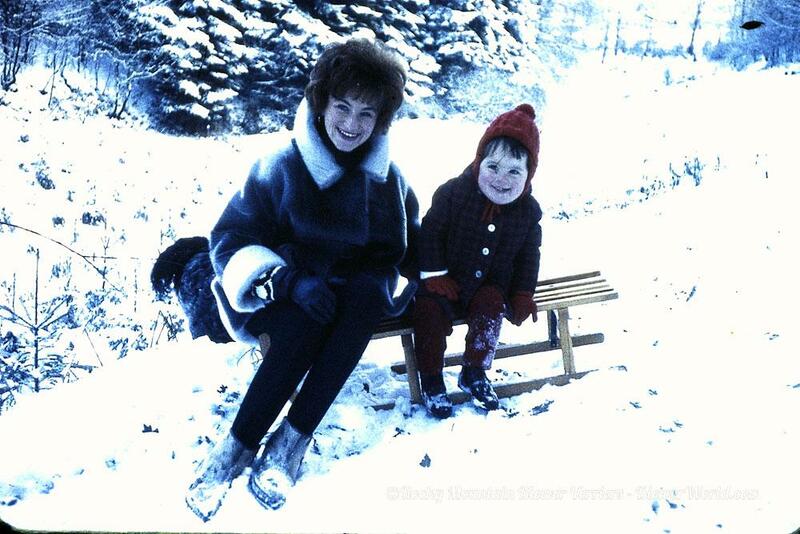 Monika’s mother was the sister of Gertrud Biewer. 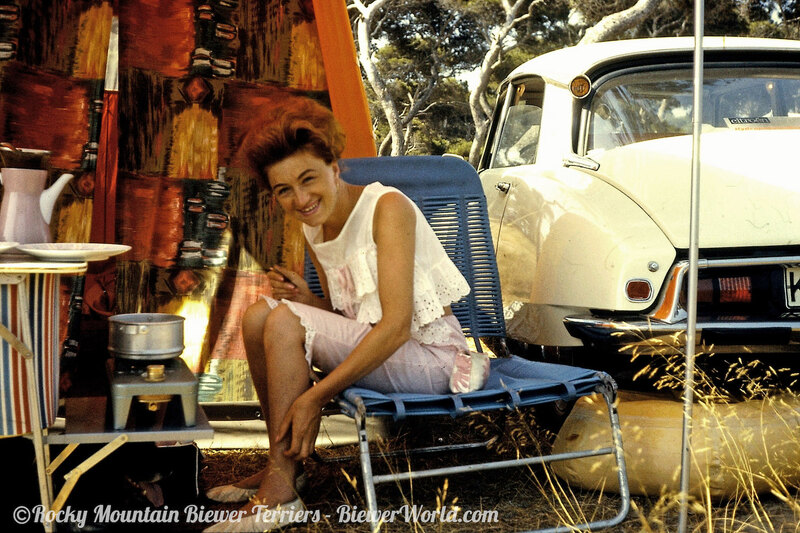 She passed away in 2012, the same year as Gertrud Biewer passed away. 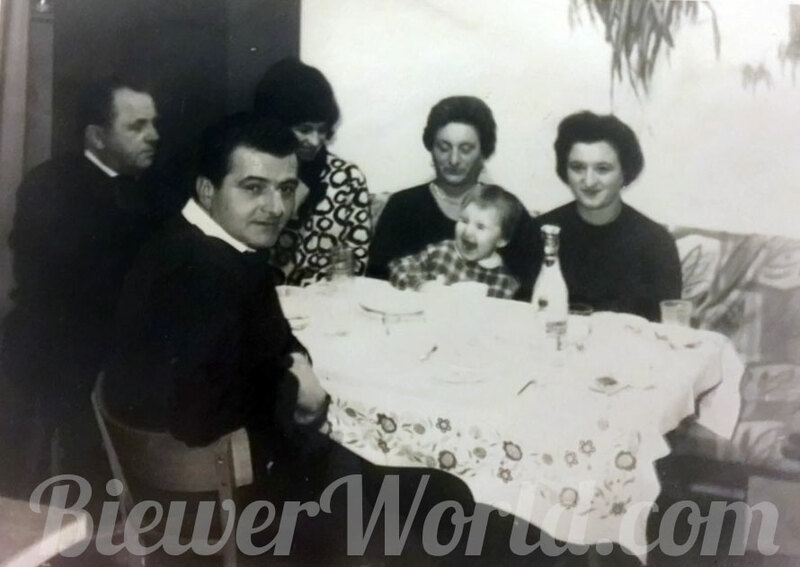 Monika and her old father spent hours looking at old family photos. 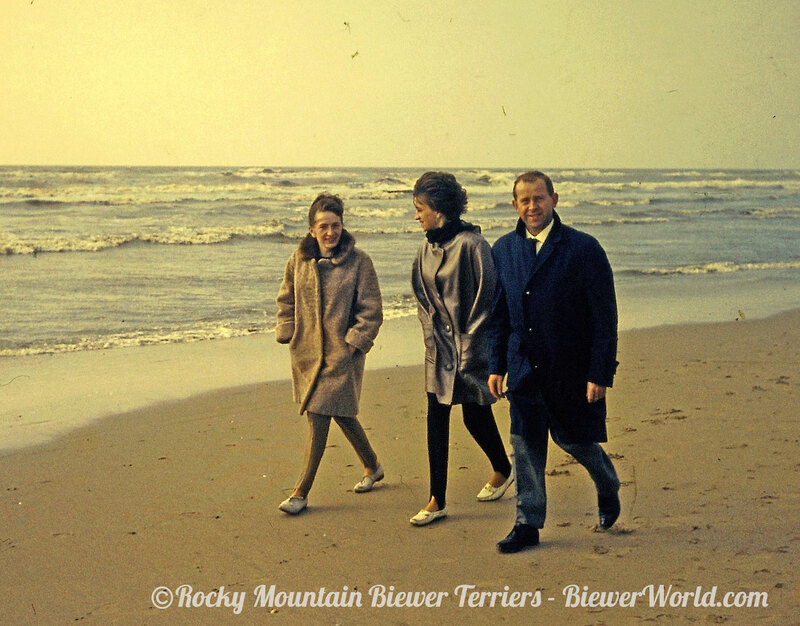 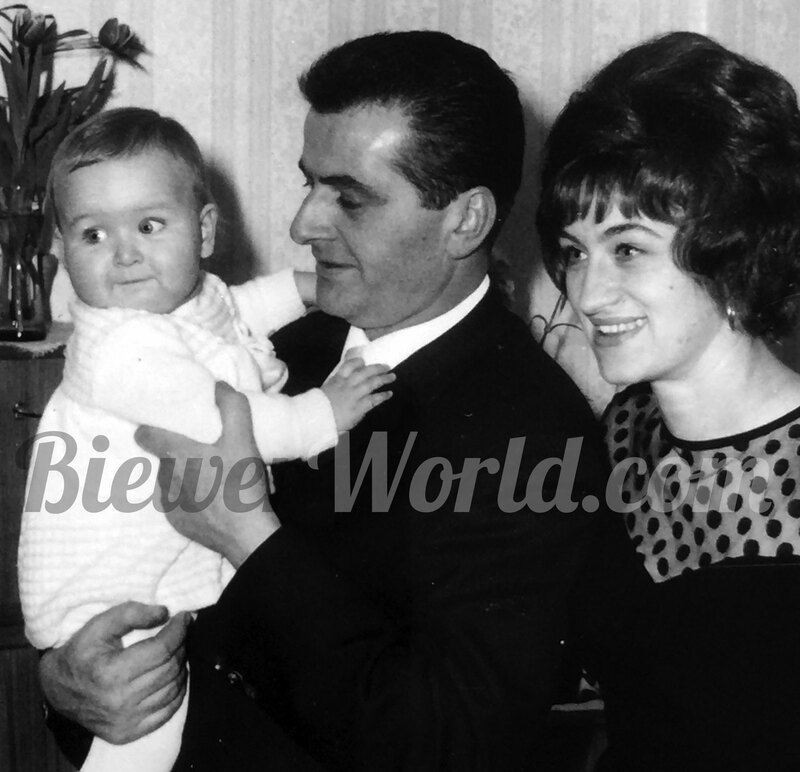 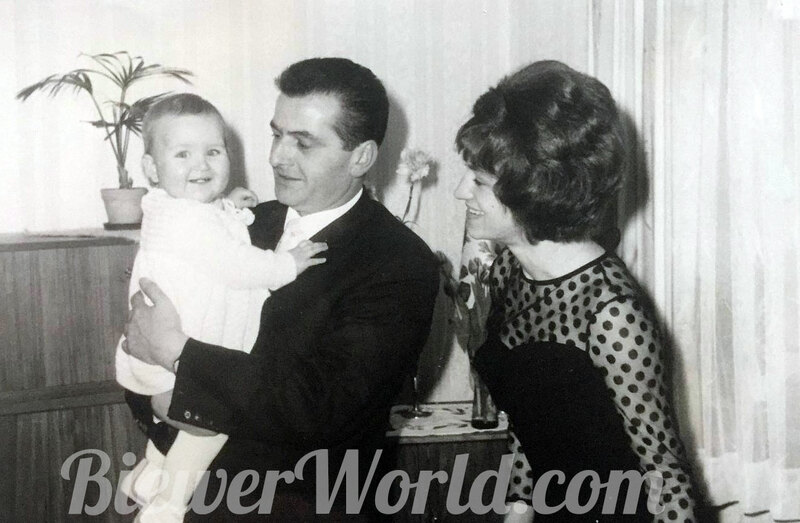 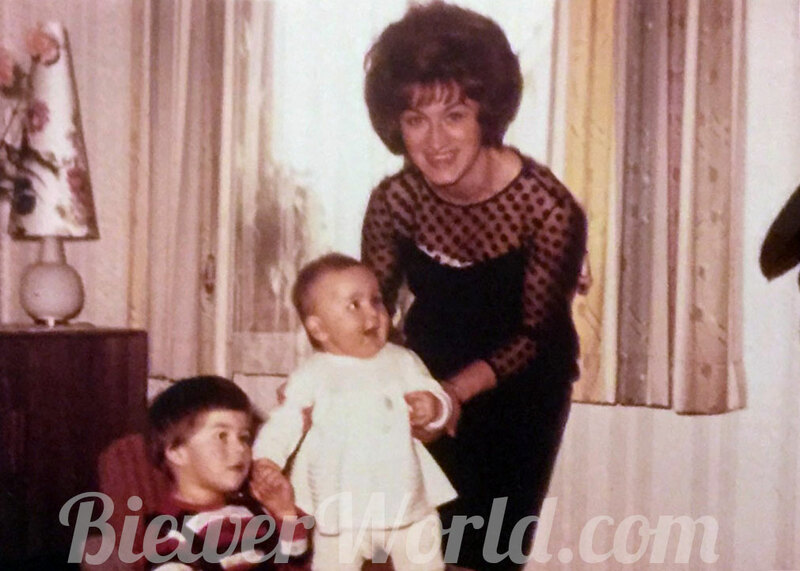 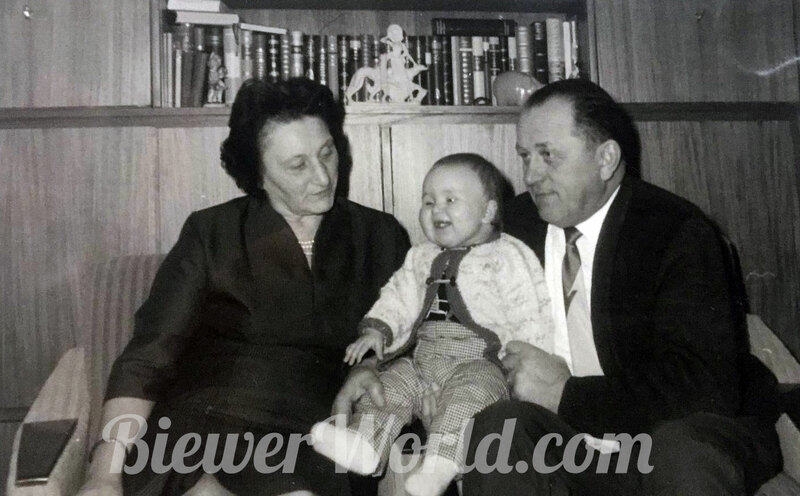 Once in a while pictures of Monika with her godparents, Werner and Gertrud Biewer appeared. 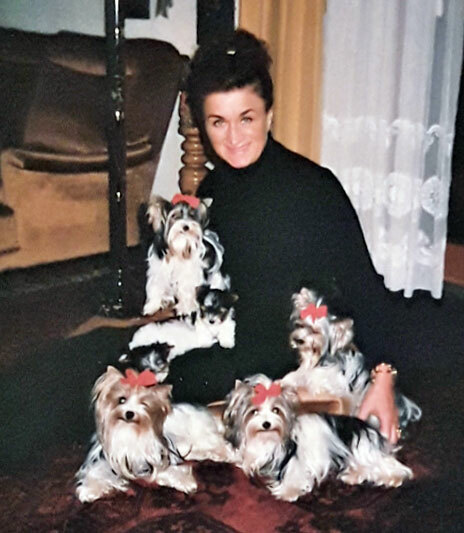 She spent a lot of time with them as a child. 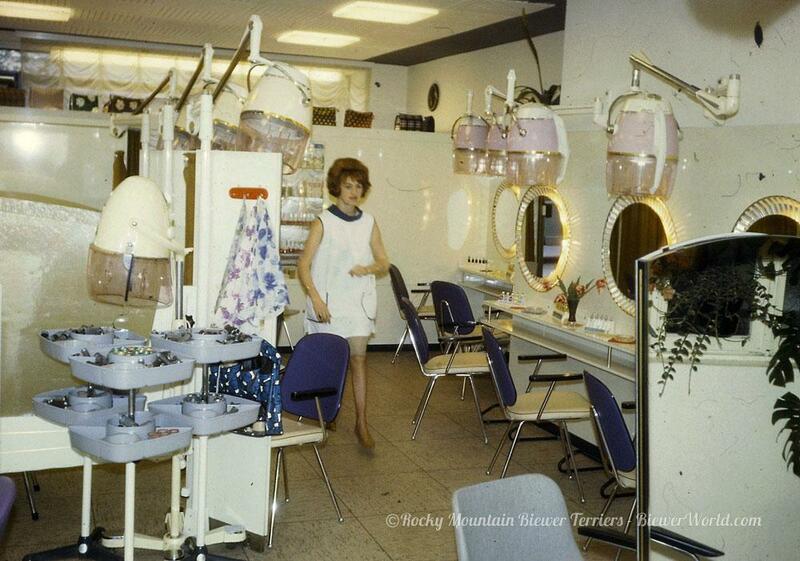 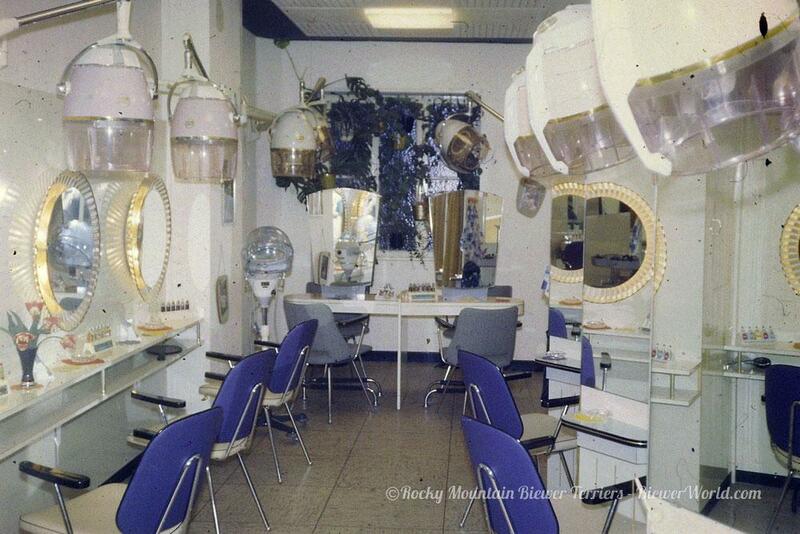 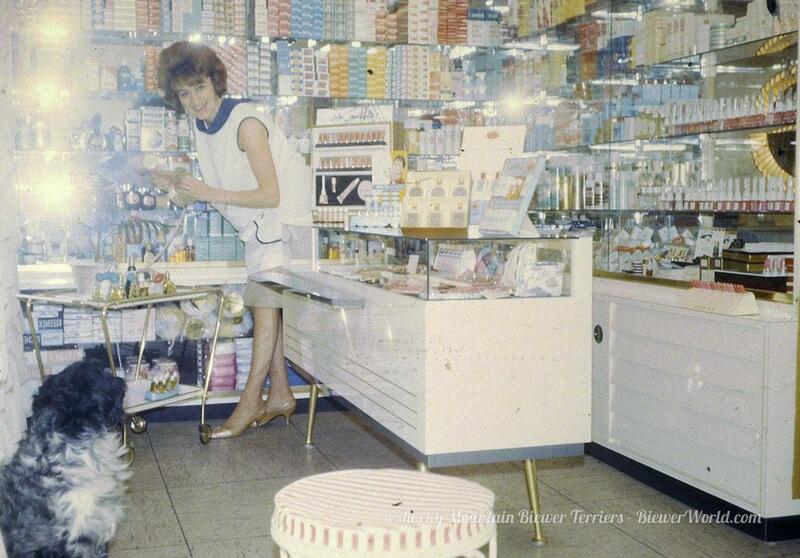 She remembers getting her haircuts at the Salon in Cologne in the 1960′. 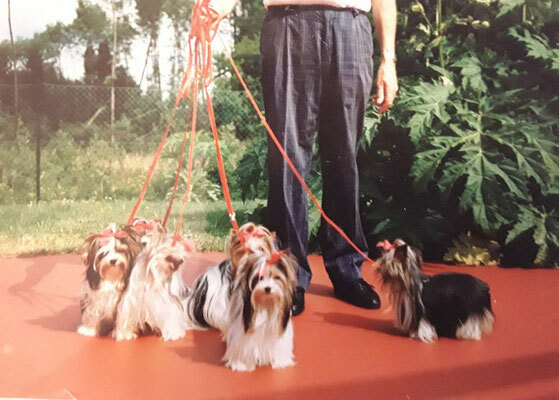 Monika also remembers all the little dogs and the red bows in their hair. 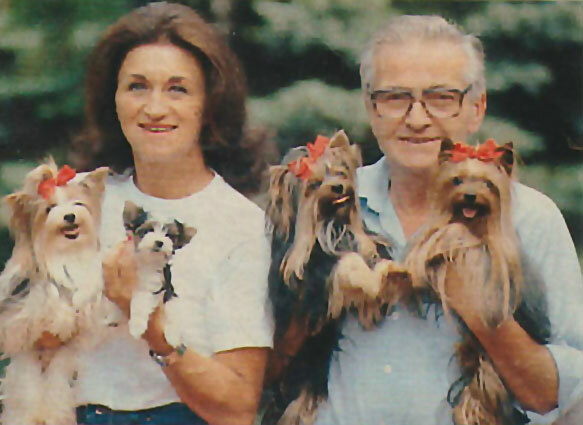 The whole family were dog breeders. 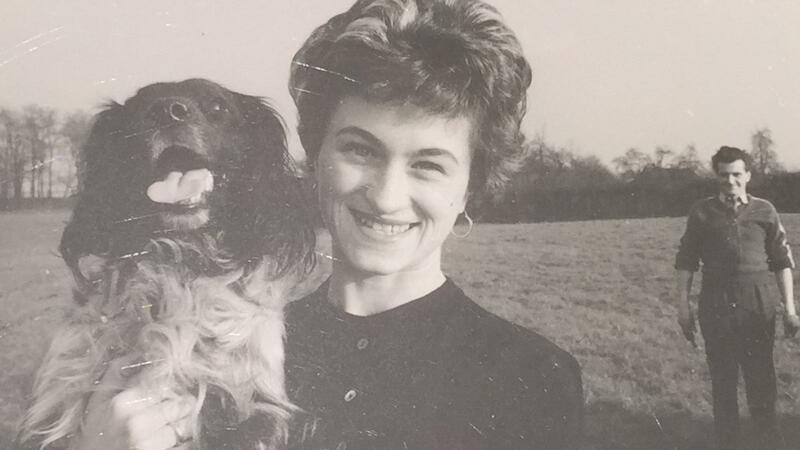 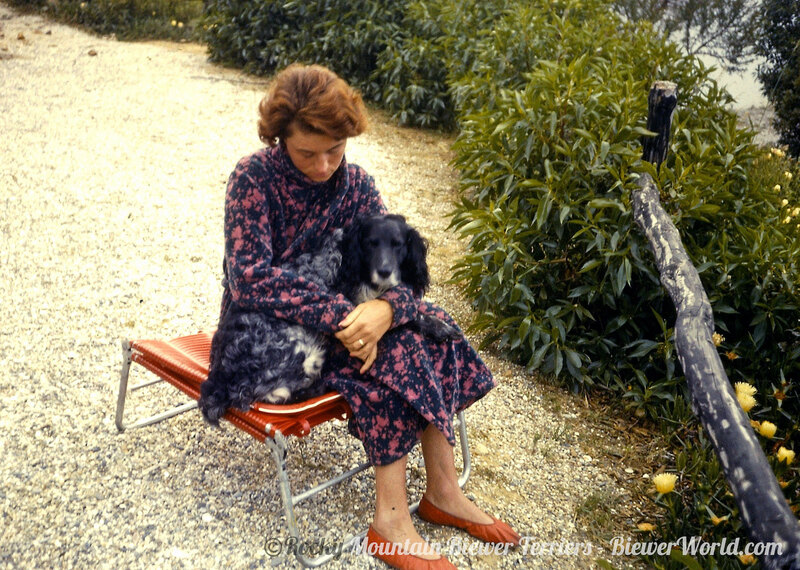 Gertrud parents bred Wirehaired Dachshunds and Monika’s mother bred Yorkshire Terriers. 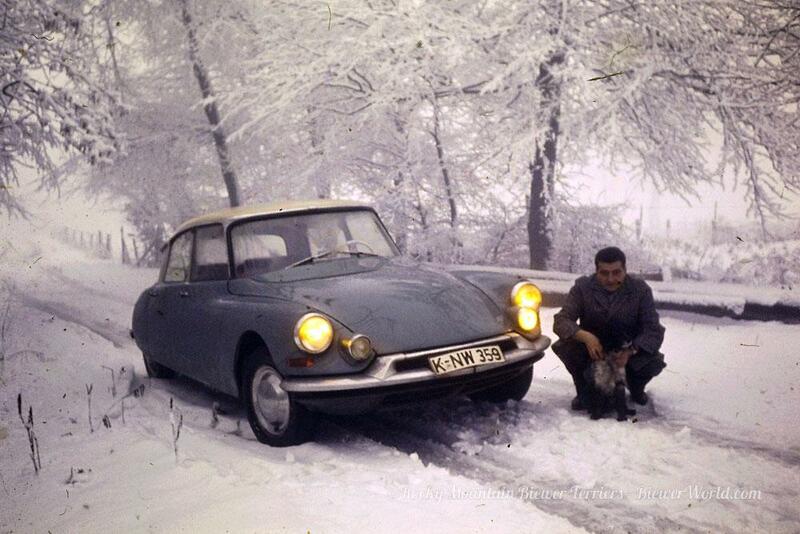 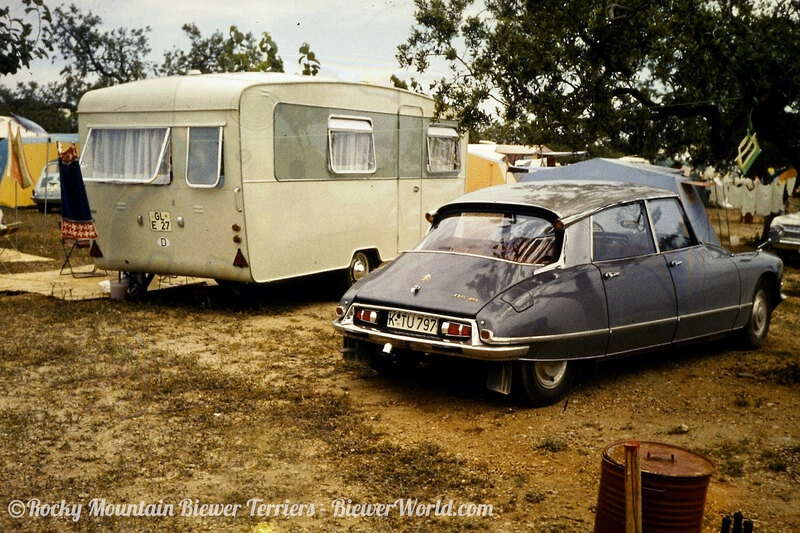 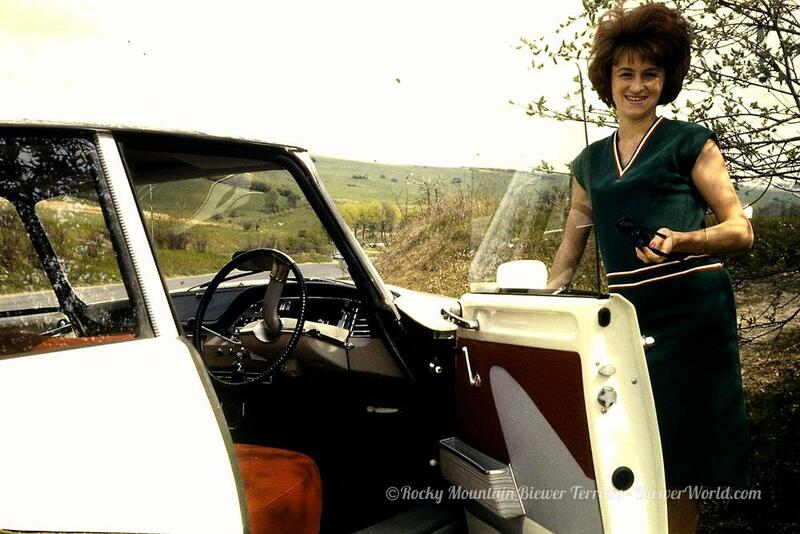 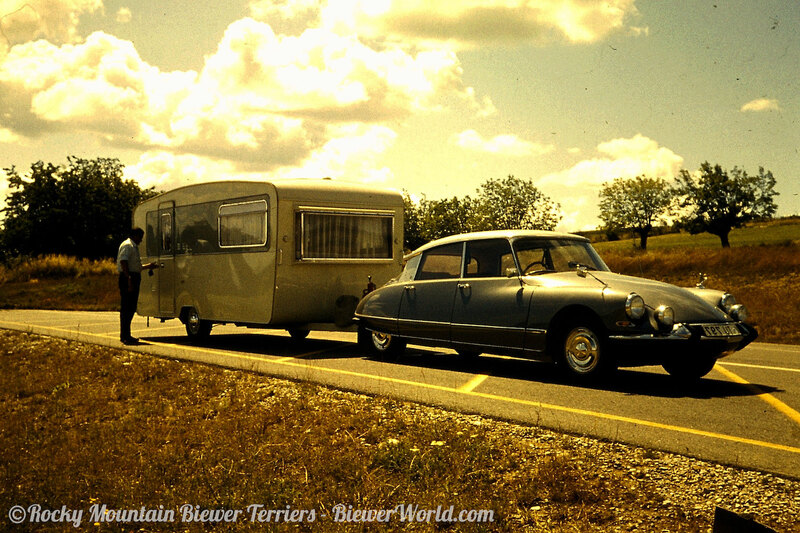 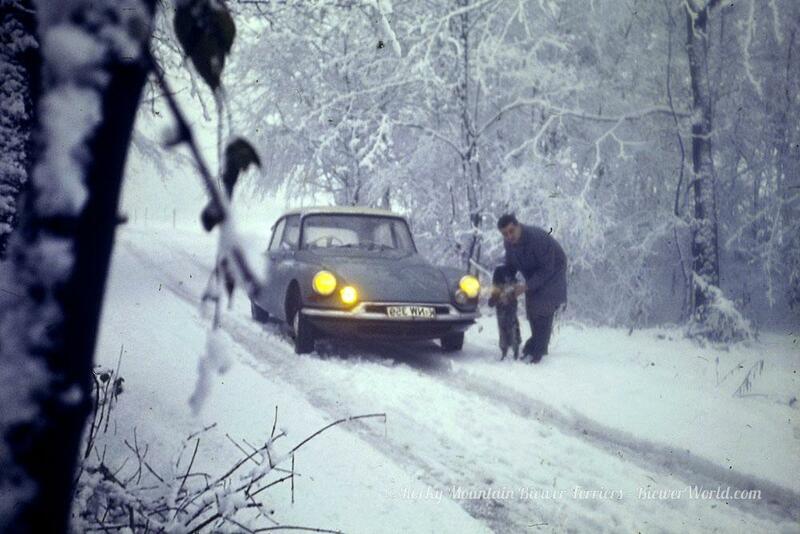 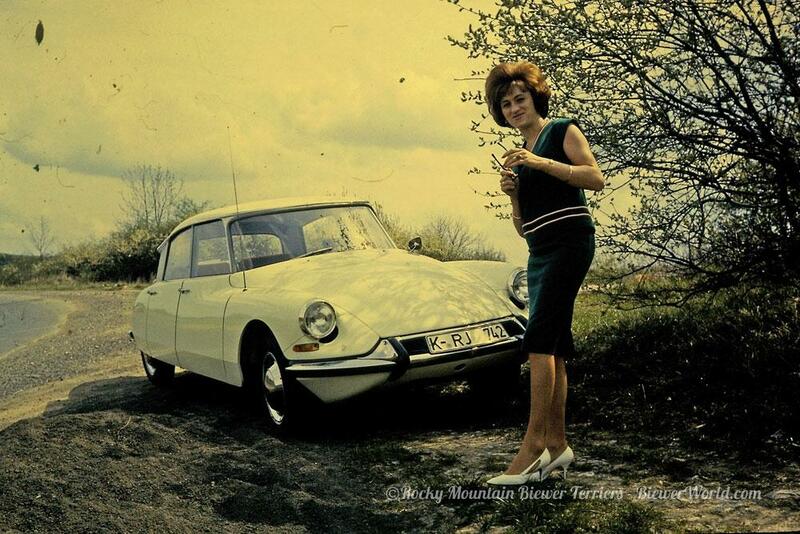 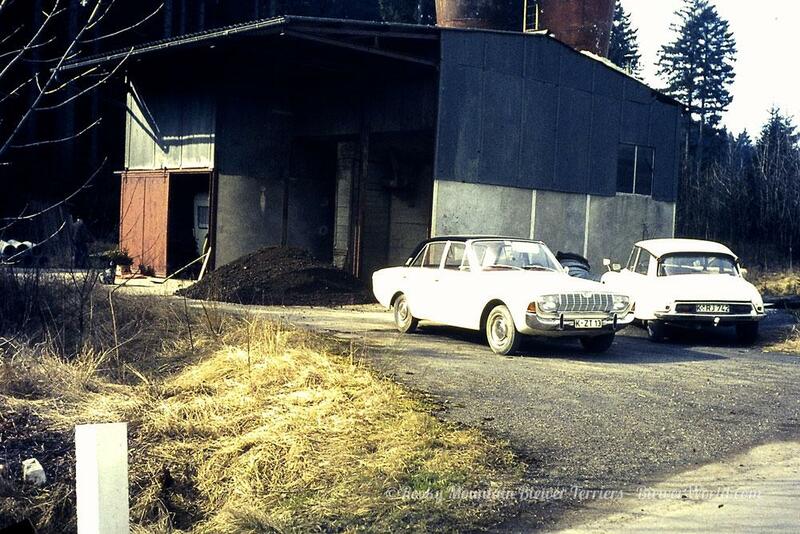 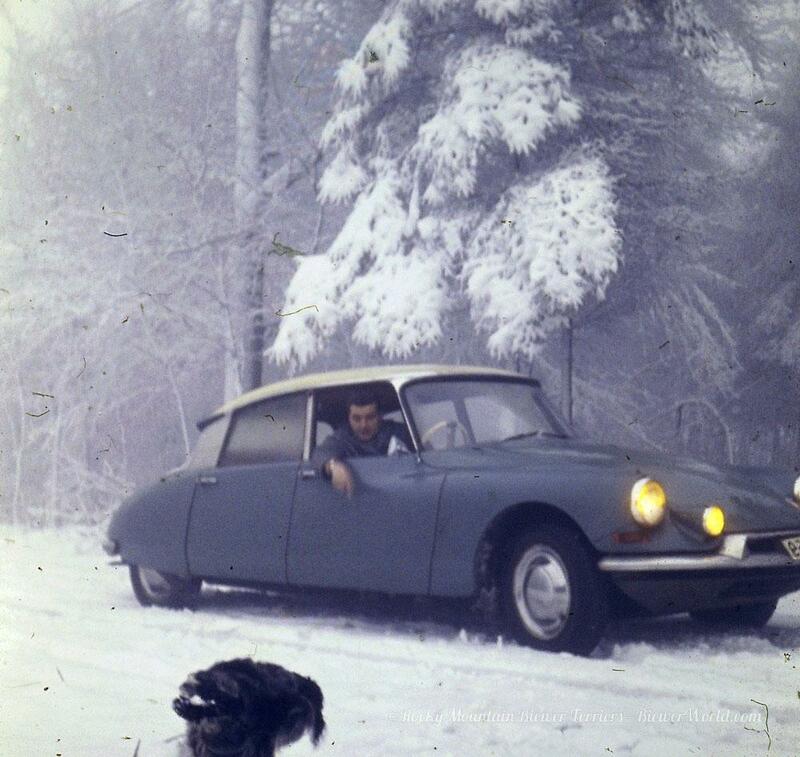 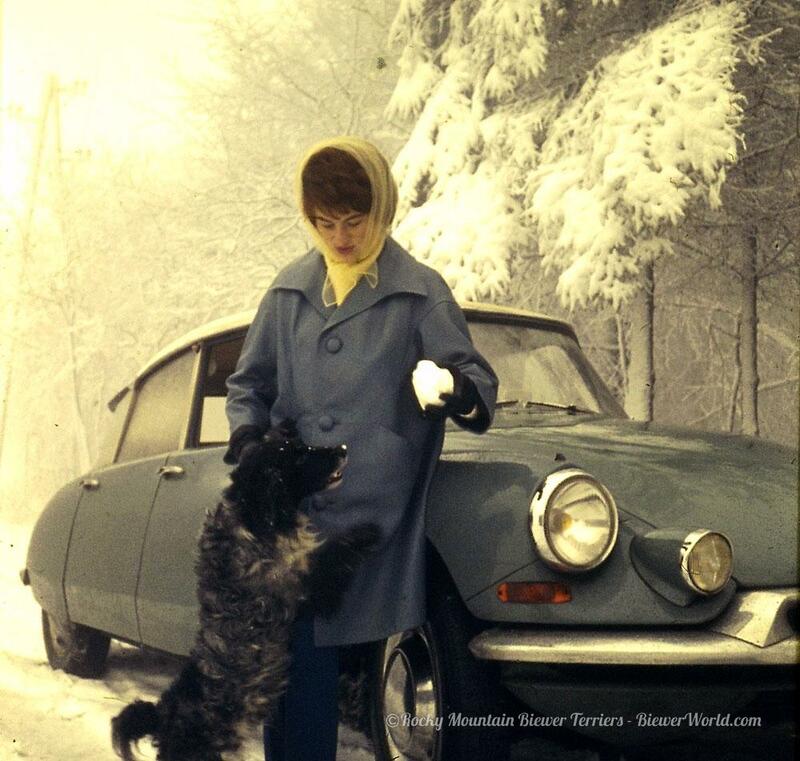 Werner and his niece Monika often went on car rides to the Mosel river with Werner’s Citroen DS. 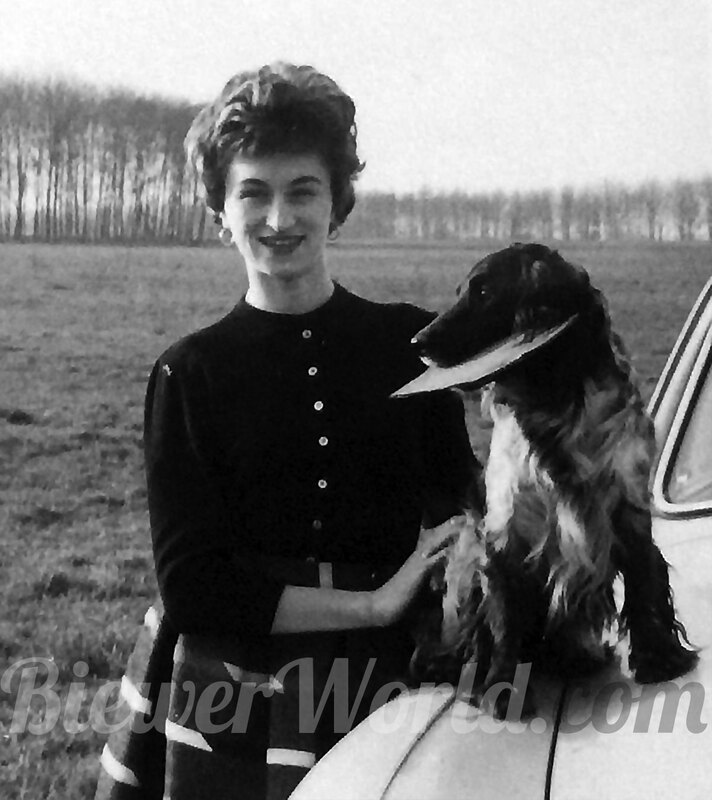 When Monika was a teenager, she and Gertrud wore the same size of clothes so Monika would often get used but fancy clothes from Gertrud, who loved shopping in big Europen cities like London. 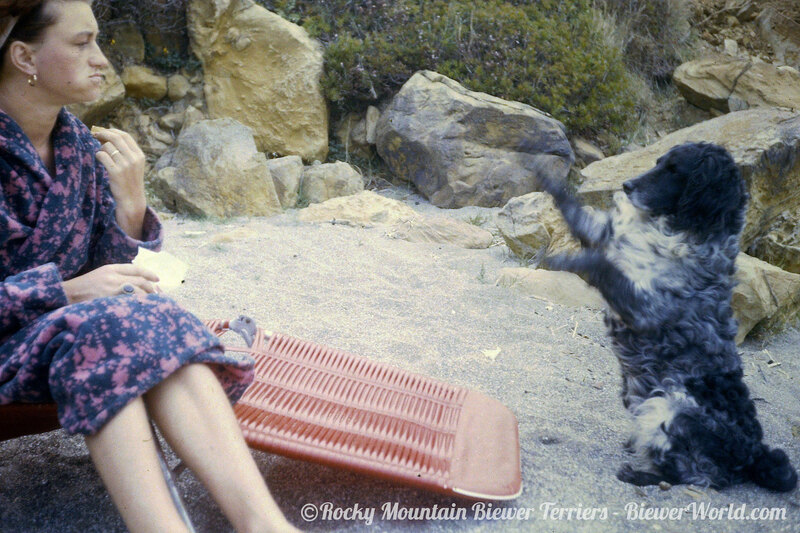 This was all very exciting and we asked Monika if we could interview her and she agreed. 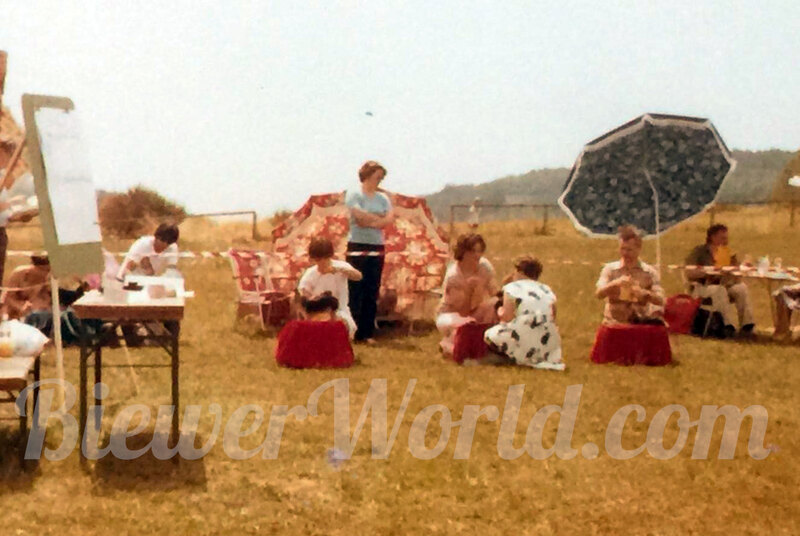 You can listen to a shortened version of the interview here. 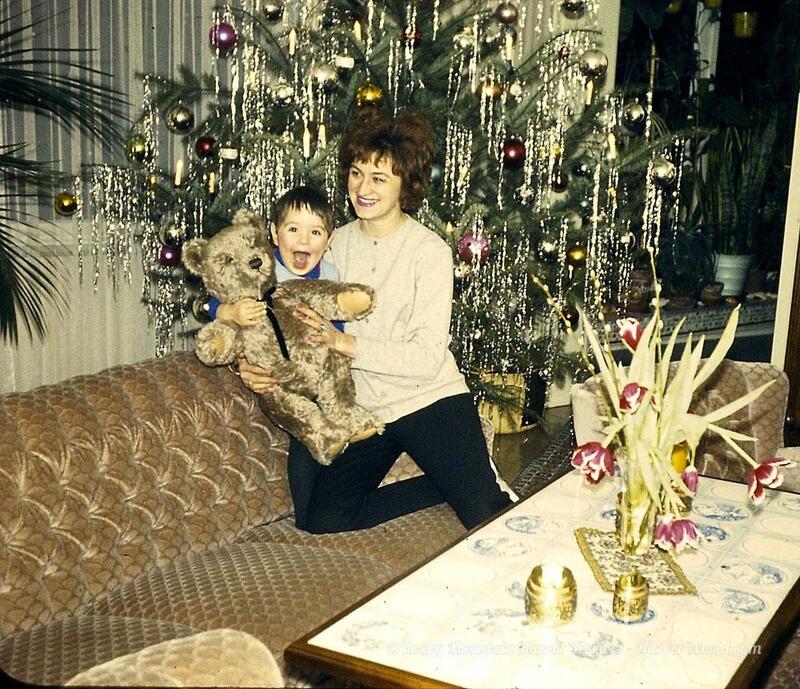 When we spoke to Monika, she was very sad. 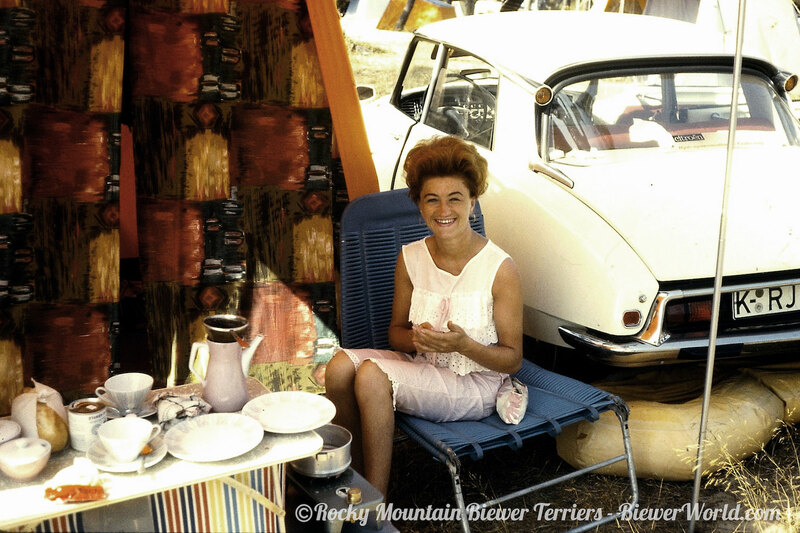 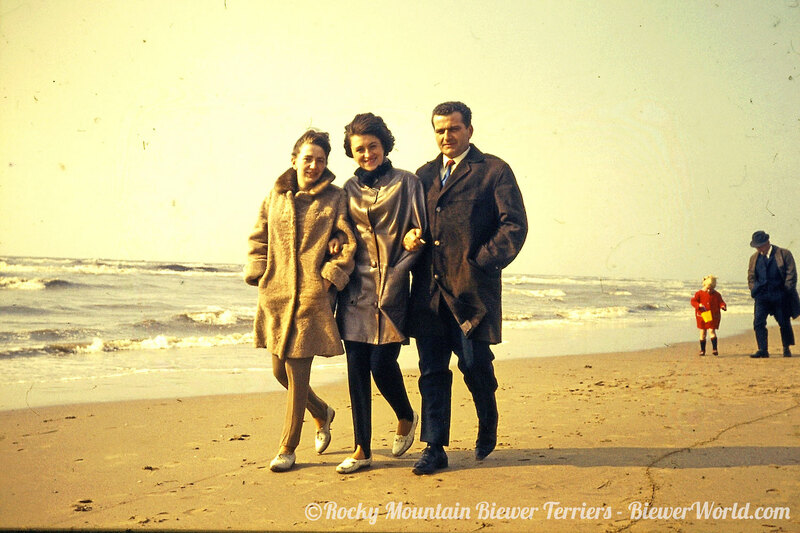 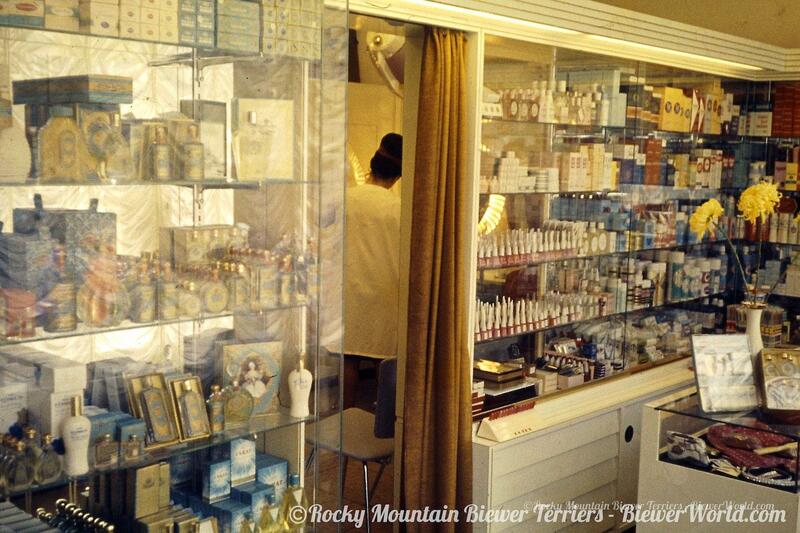 Many of Gertrud Biewer’s photos, letters, and personal items were lost after she passed away. 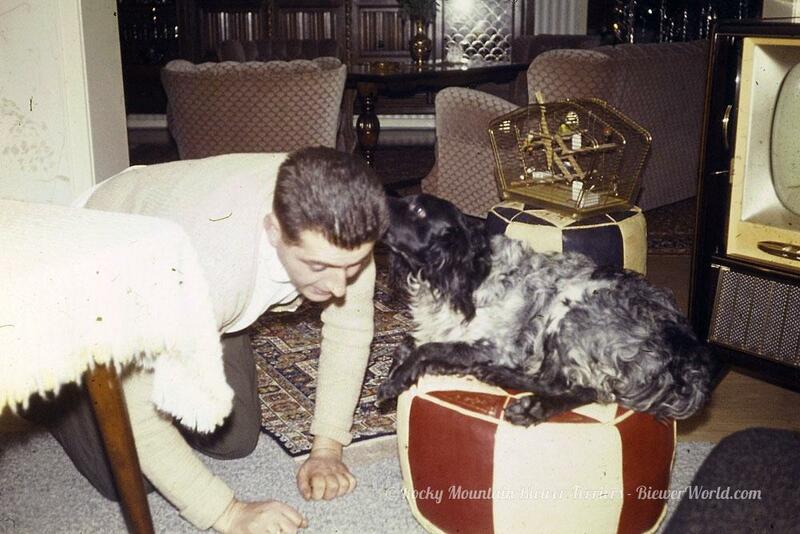 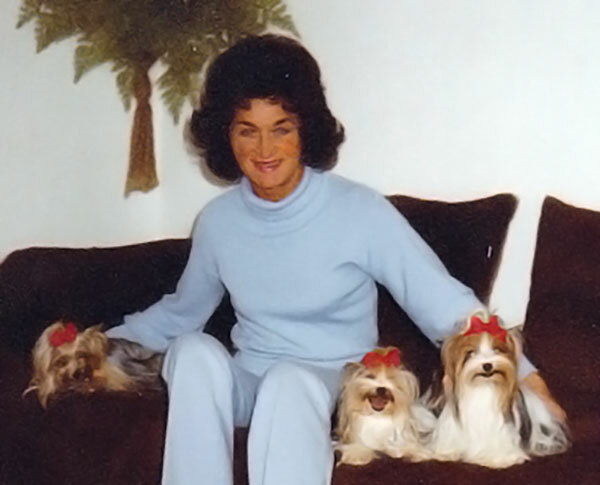 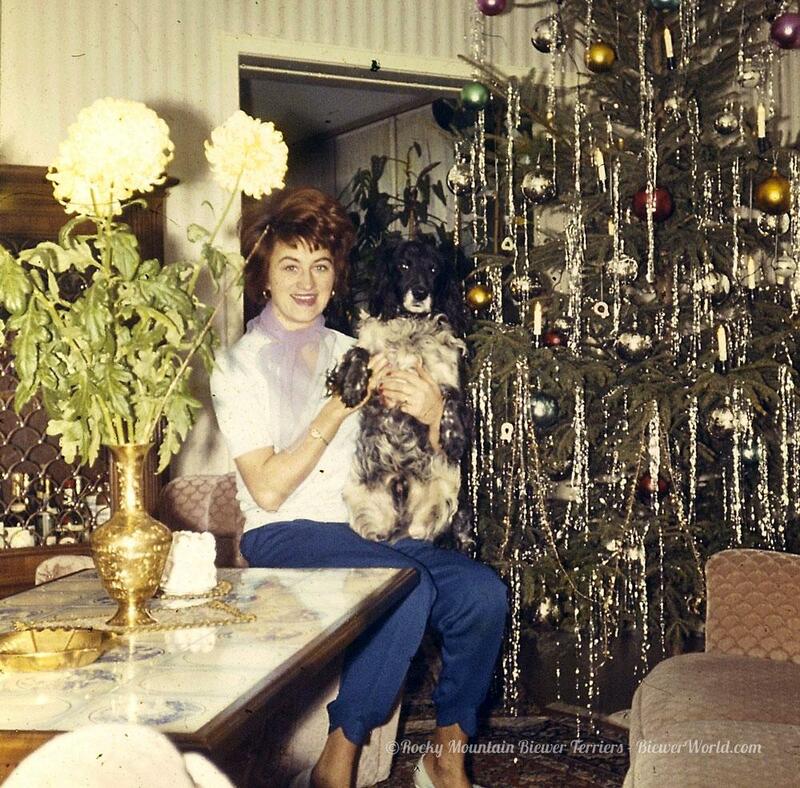 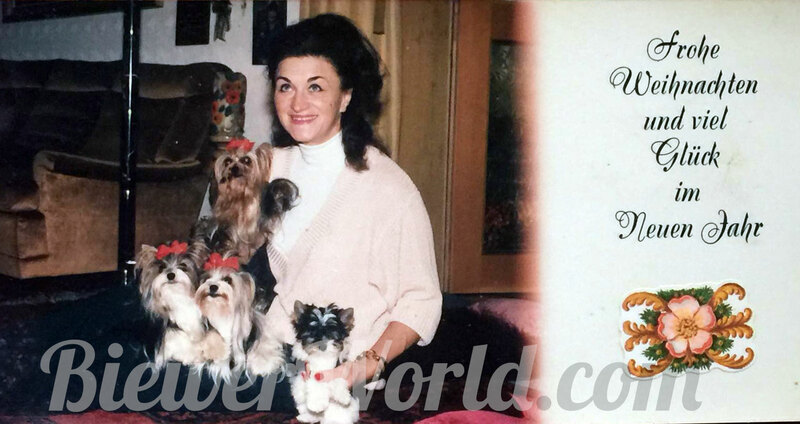 The landlord of her little apartment sold them to the founder of a Biewer Terrier Club in America. 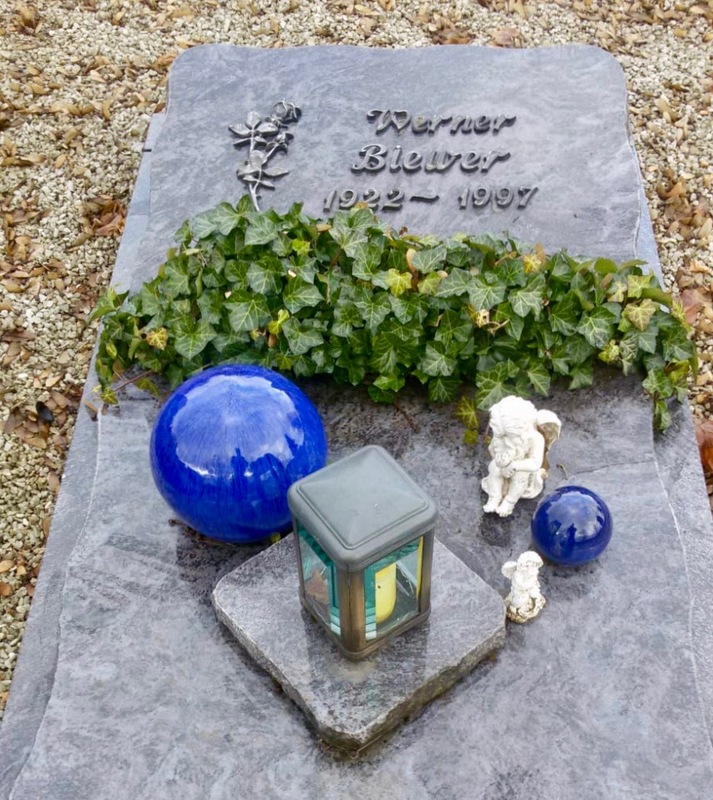 We learned that Gertrud Biewer was buried in an anonymous pauper’s grave in Zell, Germany, just 20 minutes away from Werner Biewer’s grave. 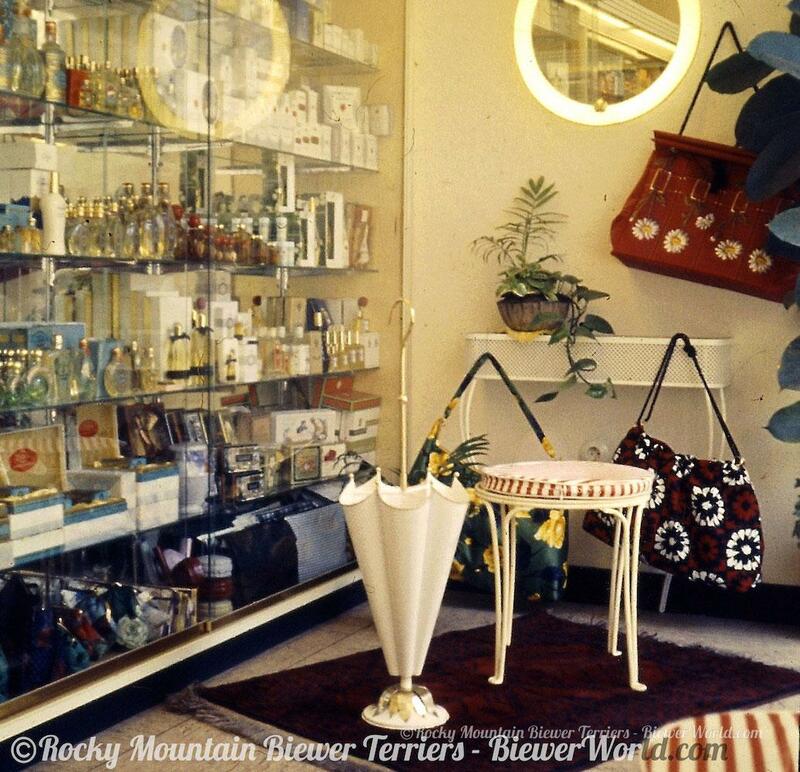 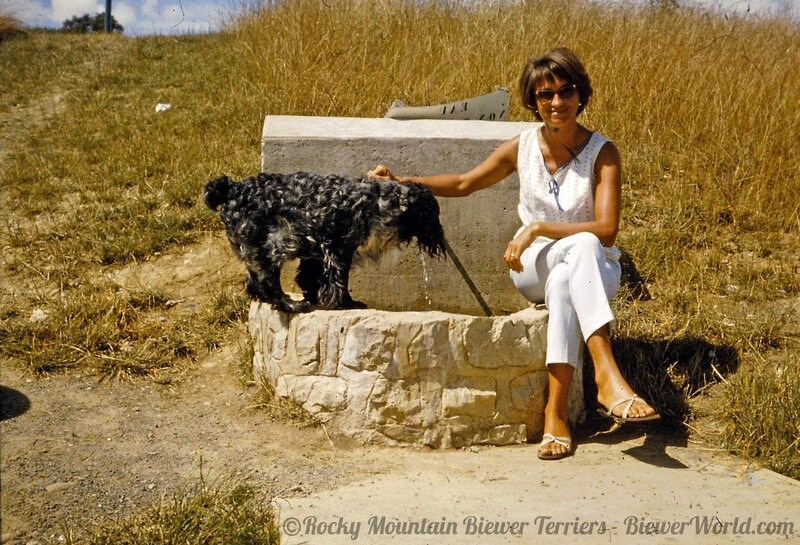 The Rocky Mountain Biewer Terrier Club quickly raised the funds to reunite Gertrud with Werner. 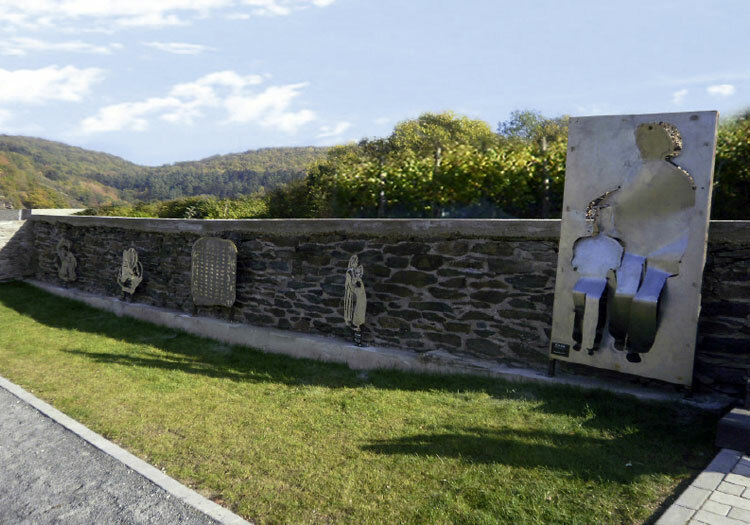 The mayor of Hirschfeld already wrote a letter giving a special permit to do so. 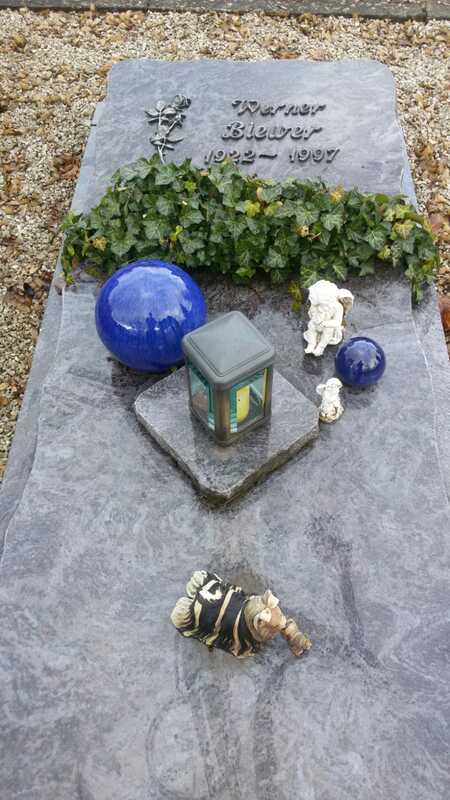 We will be waiting for better weather in Spring 2019 to proceed with the reunion. 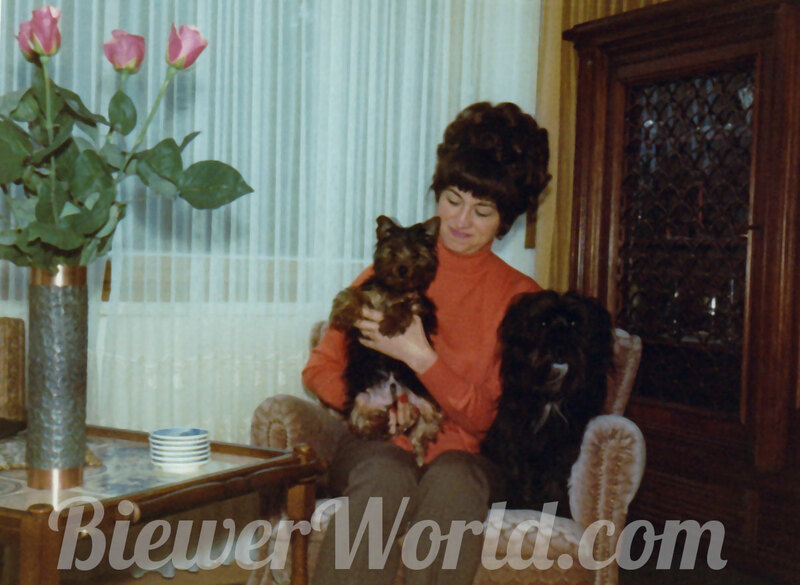 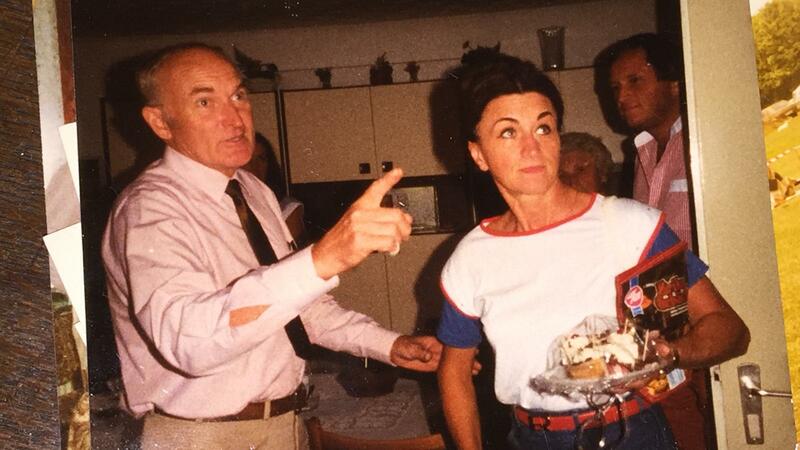 Monika talked to Gertrud’s former landlord in Niederweiler about the plans and found out that some big boxes with VHS tapes, a slide projector, and over 1000 slides were still stored in the attic, over 6 years after Gertrud had passed away. 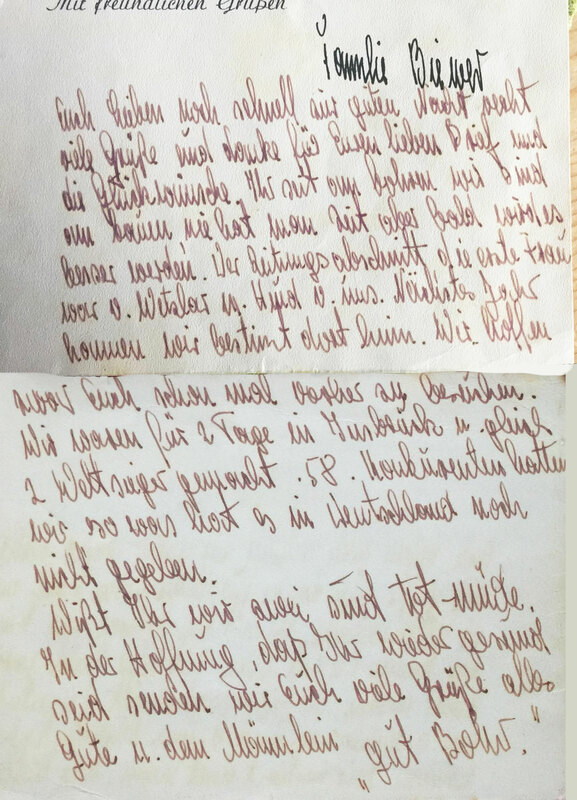 Monika recovered the items and found a handwritten note that was stored with all the slides in one of the boxes. 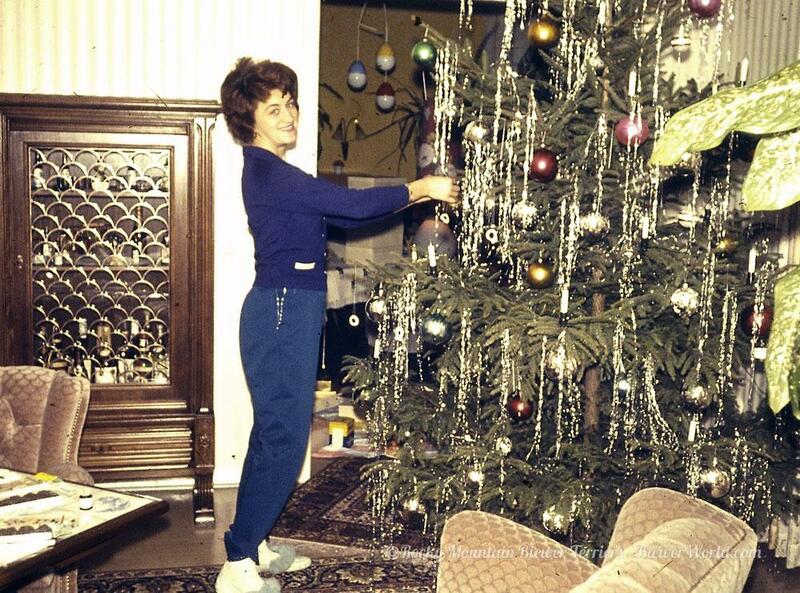 She sent everything to us to Colorado so we could share it with all of you. 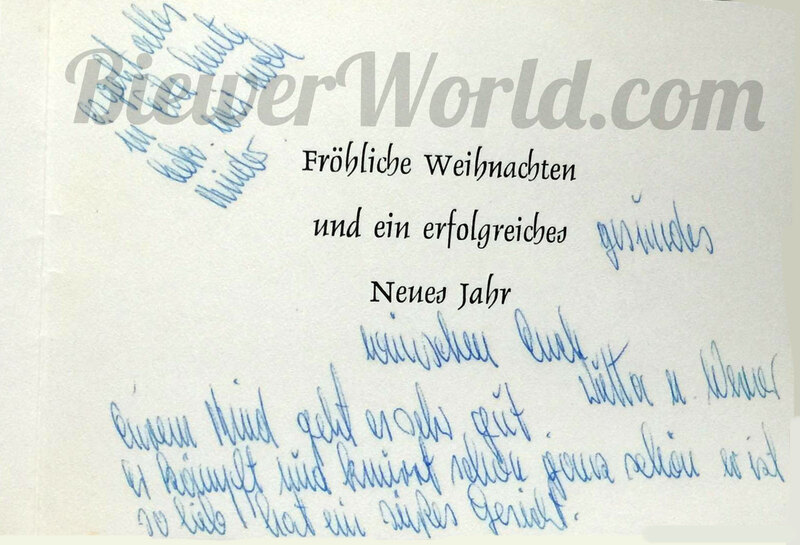 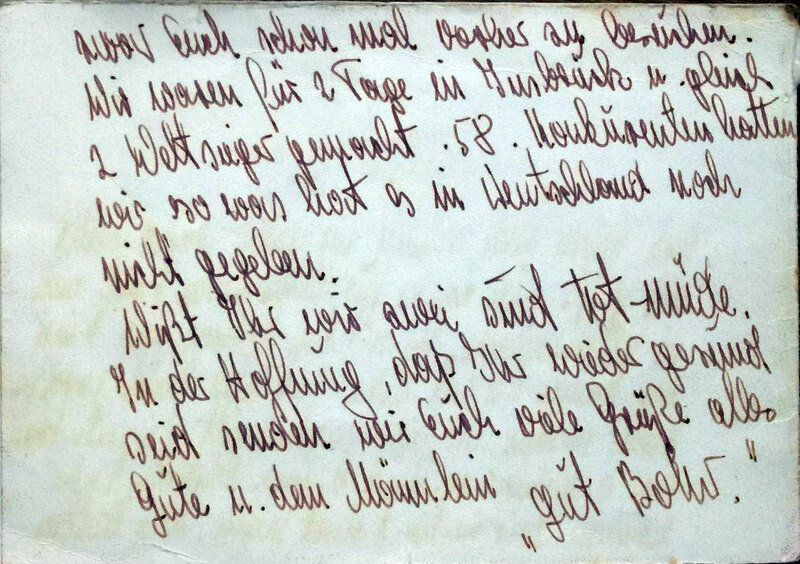 The note was written by Gertrud Biewer less than 5 months before she passed away. 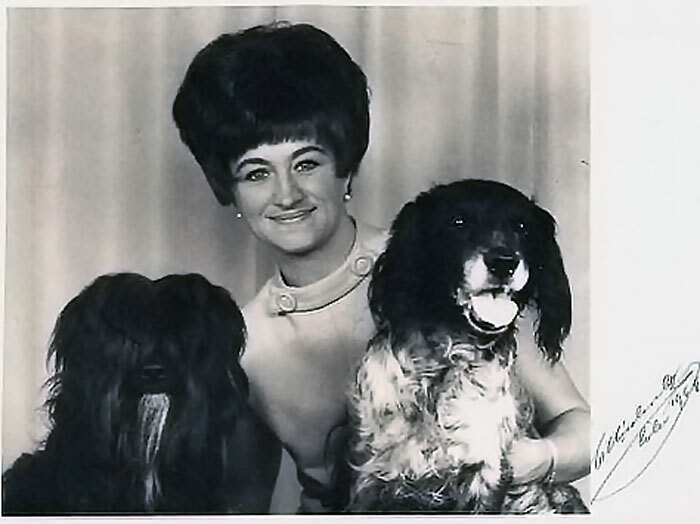 We think it is great to know that she was OK with the idea to share them. 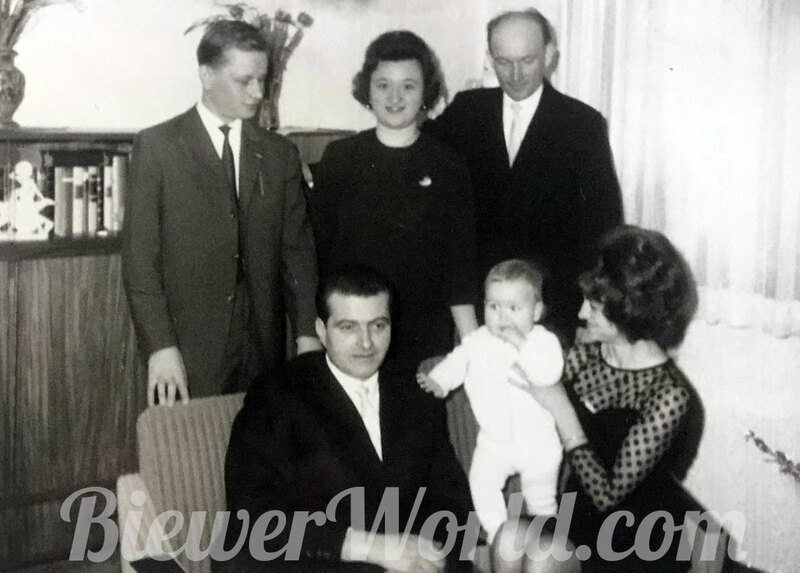 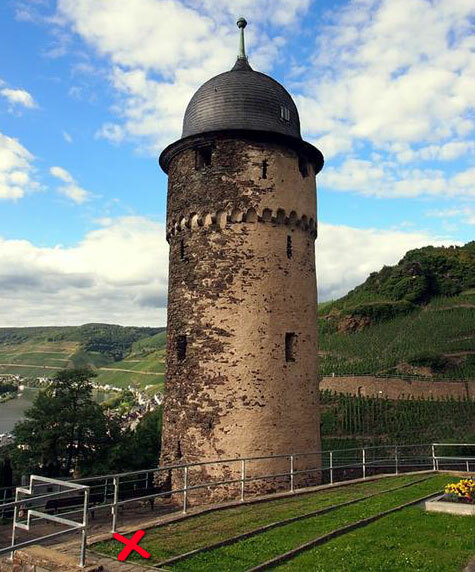 During further conversations, she also learned that the landlord raised money with Gertrud’s woman group in Niederweiler. 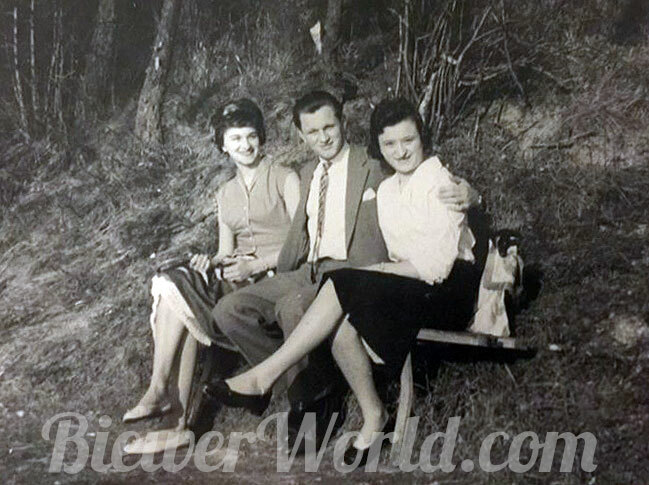 Monika was always told that Gertrud’s brother Wolfgang had taken care of the funeral while Monika was dealing with the passing of her own mother, Gertrud’s sister, just 90 days earlier. 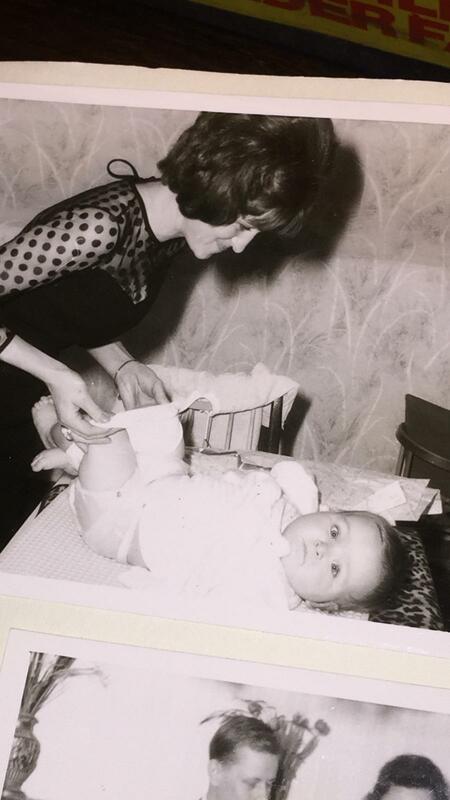 It was a very hard time. 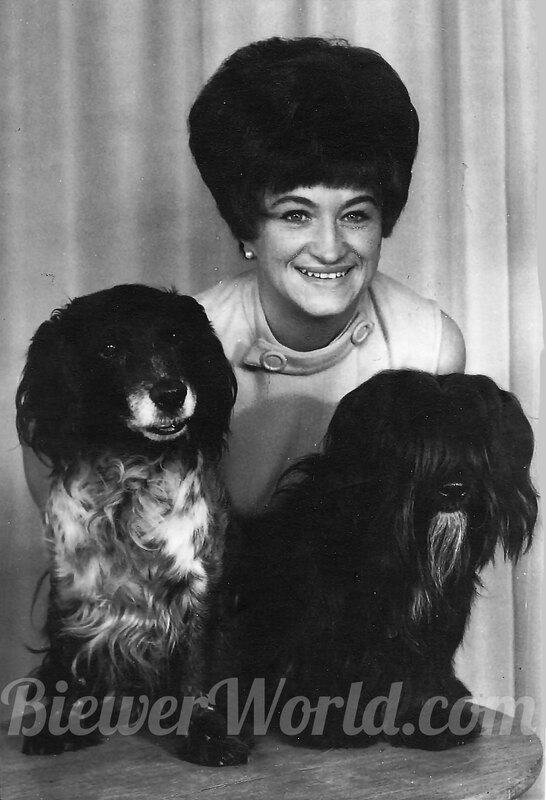 Gertrud’s brother, Gertrud herself and Gertrud’s sister all died in 2012. 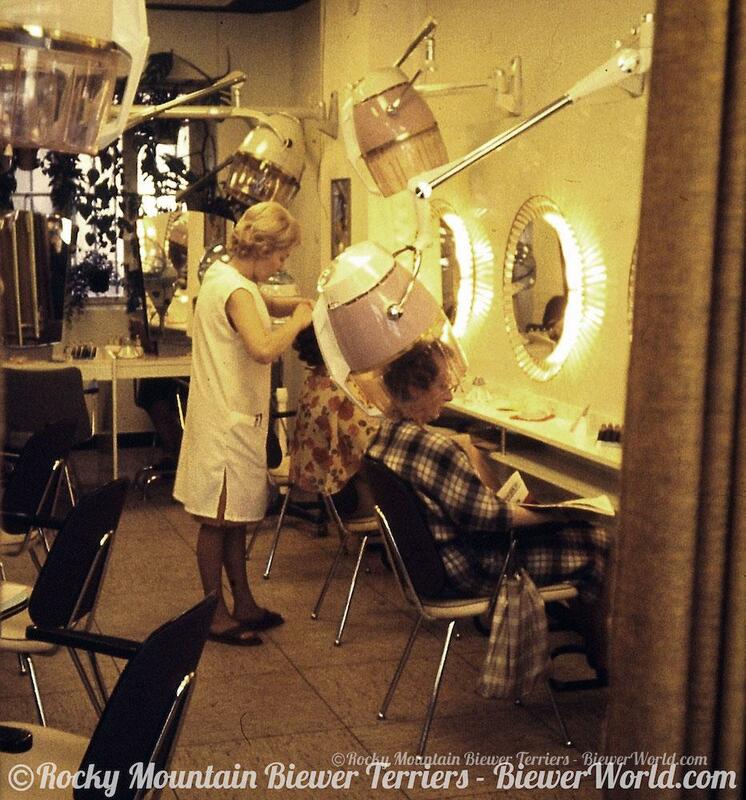 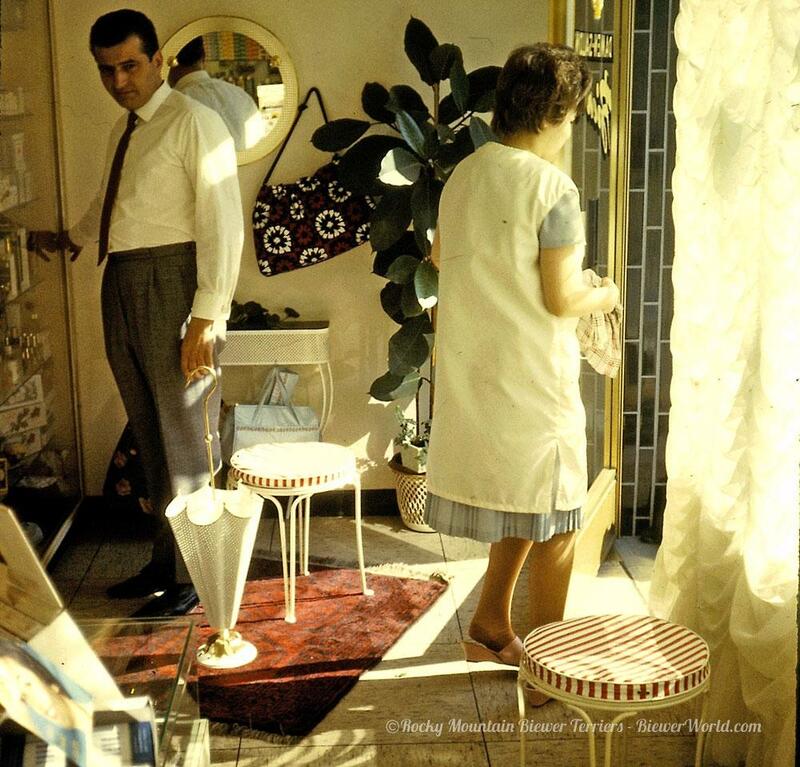 Werner and Gertrud Biewer were both Hairdressers. 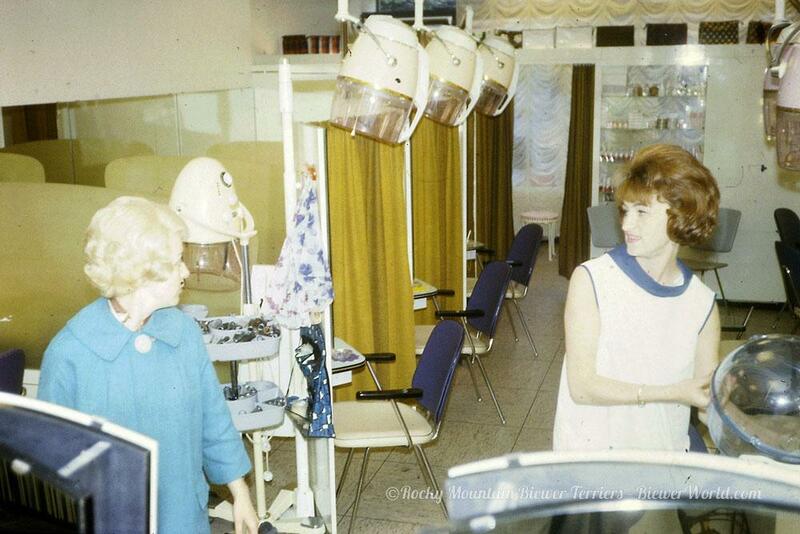 They had a salon right by the Cologne Cathedral. 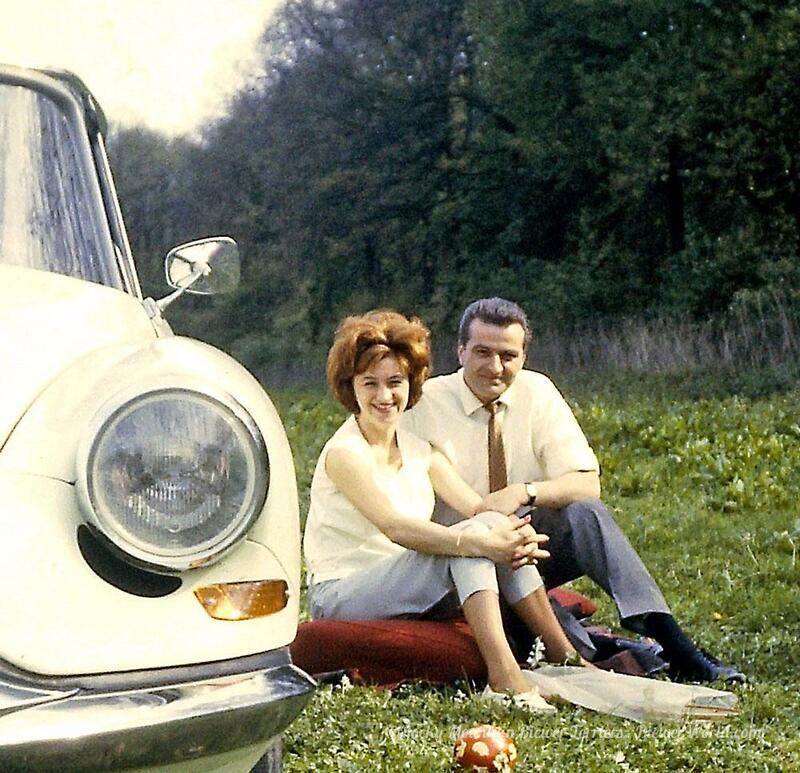 The salon did really well and Werner Biewer always said that “Once we made our first Million Deutsch Mark, we will move to the countryside and build a house”. 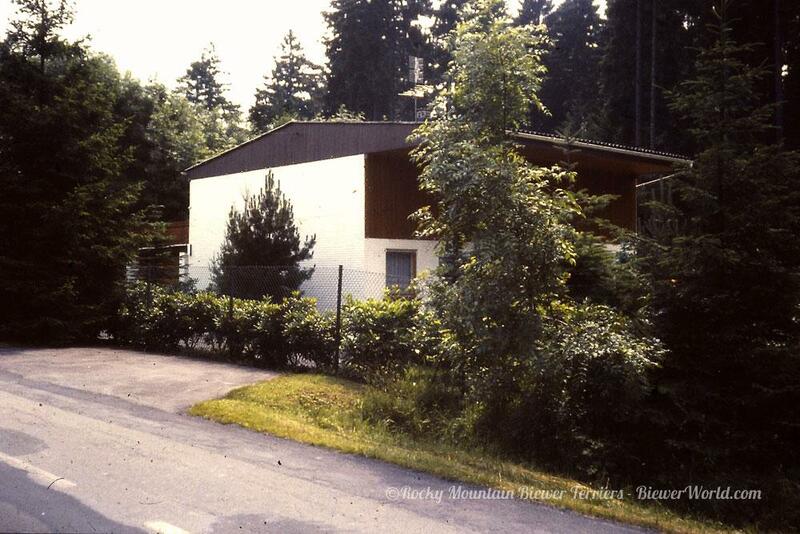 They bought a vacation property in Hirschfeld that had no permit to build a real house. 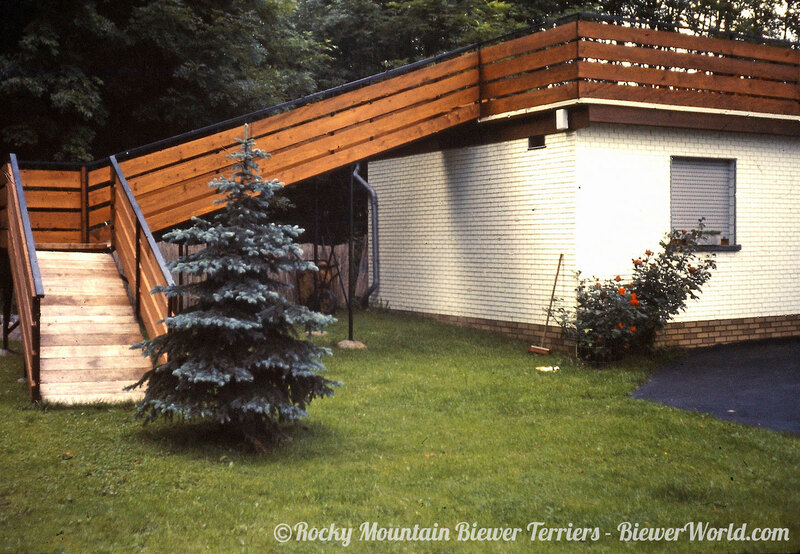 It only had an old barn building and the Biewers converted it into their home. 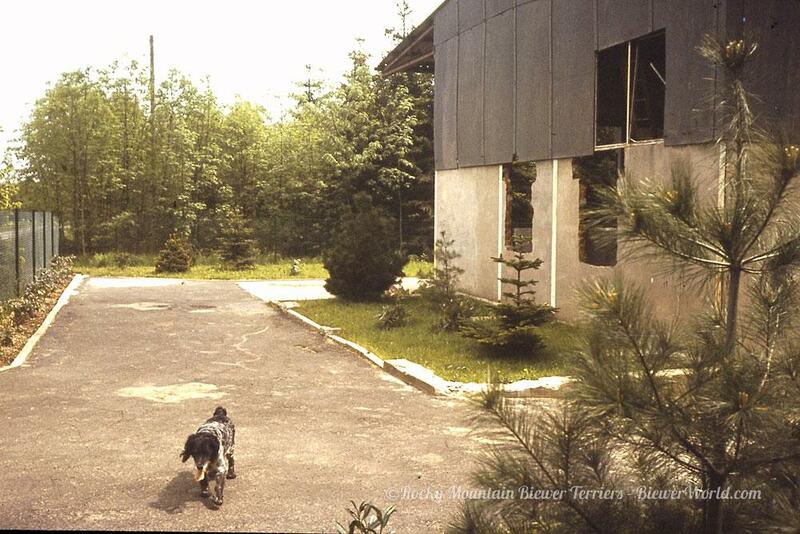 We found some before/after pictures of the building. 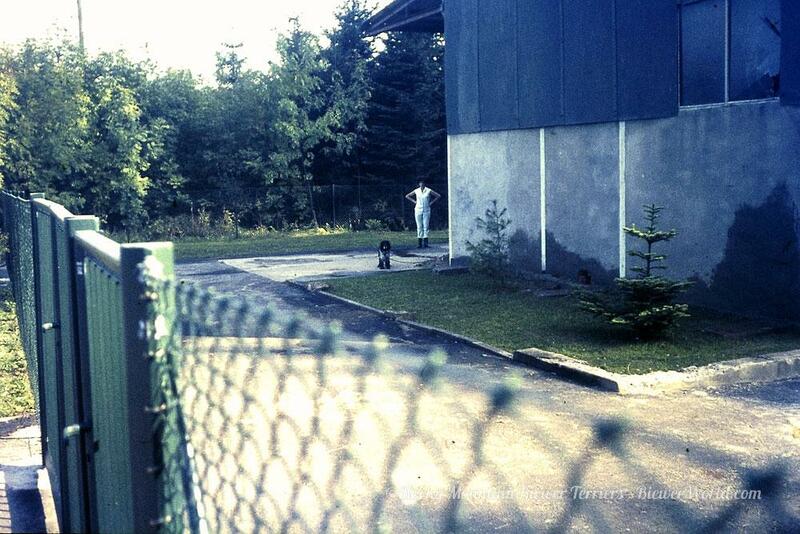 As you can see in the pictures, there is barely a photo without a dog. 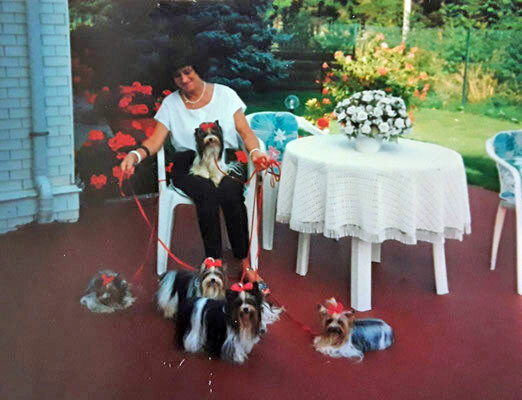 Their home in Hirschfeld was near an old Military base and when soldiers had to return home, they sometimes left their dogs behind. 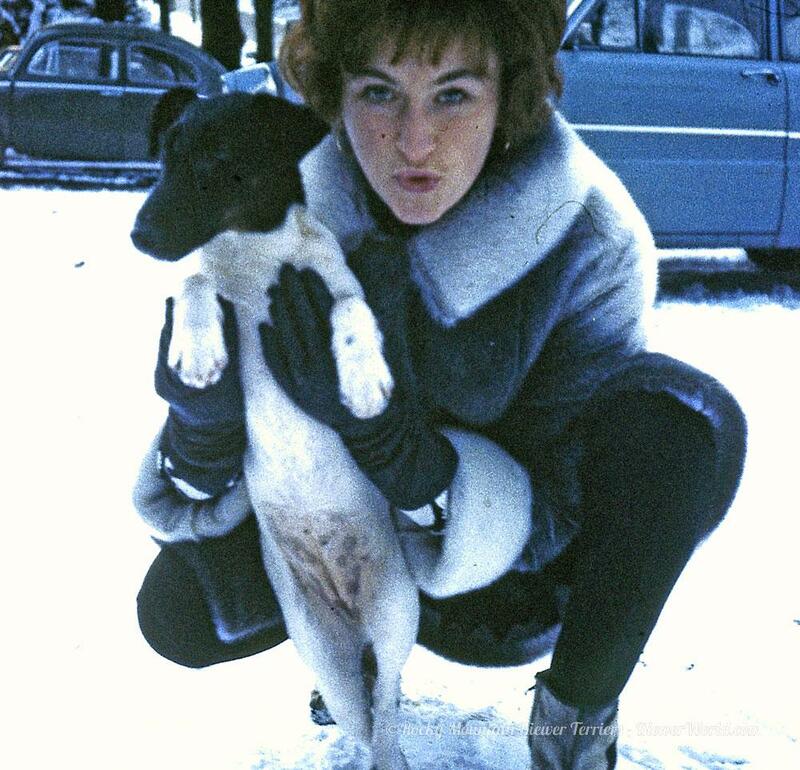 Gertrud took many of them home. 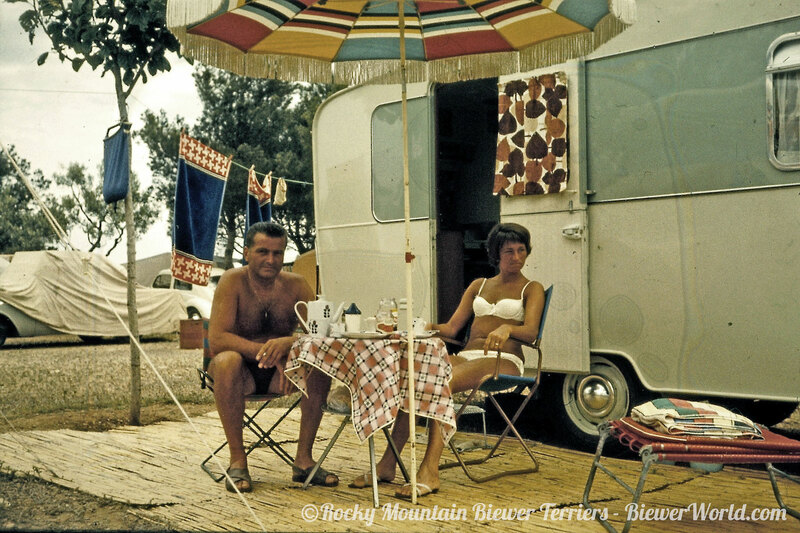 Their favorite thing was camping. 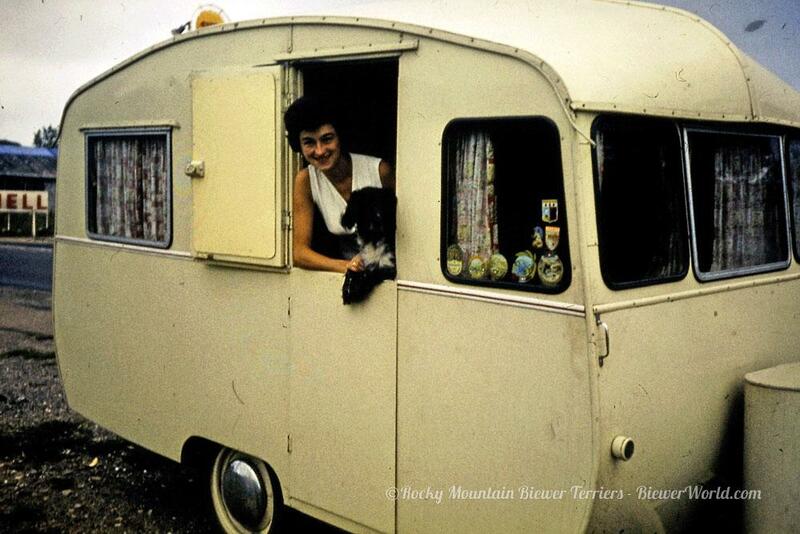 They could always take their dogs and sometimes Gertrud would even bring a stray dog from the Campground home. 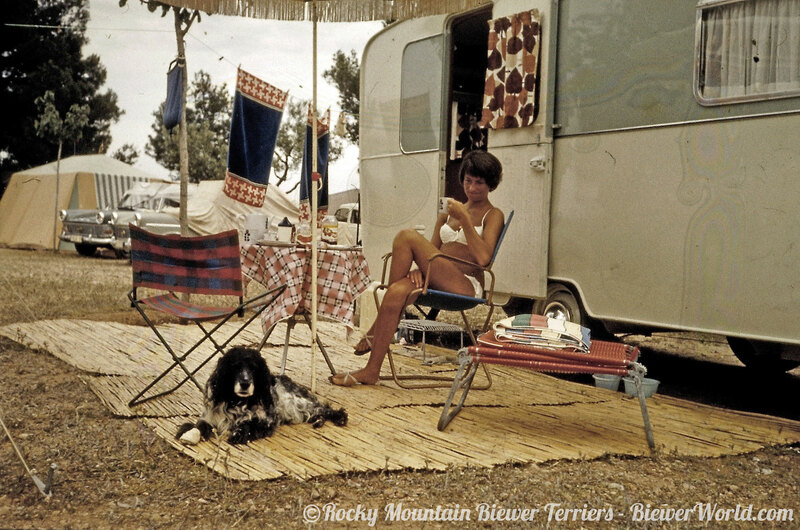 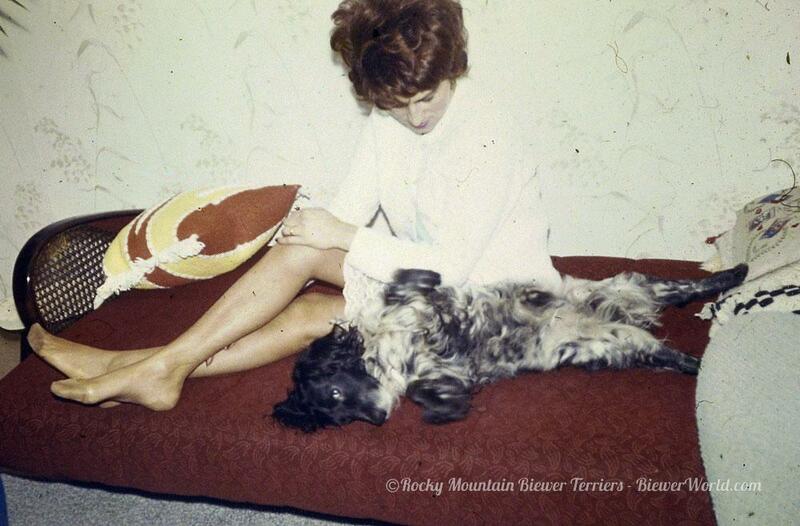 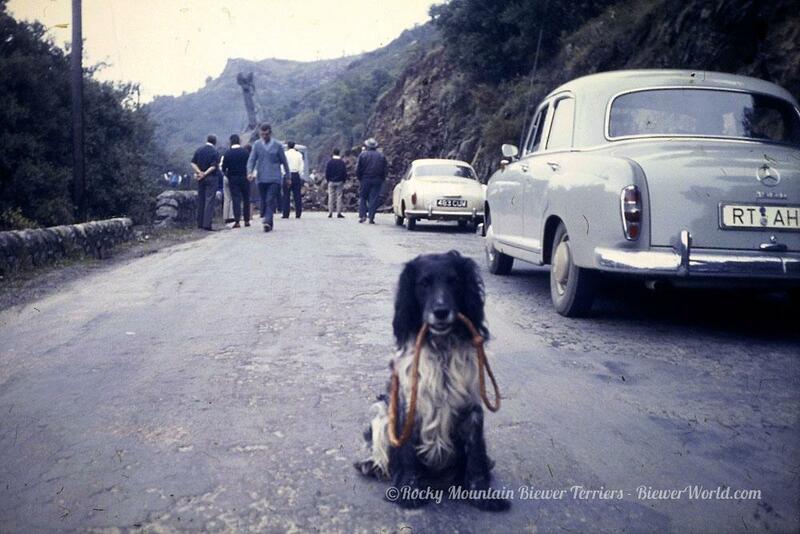 The black Tibetan Terrier mix that we’ve seen on many photos before, came from a Campground in Spain. 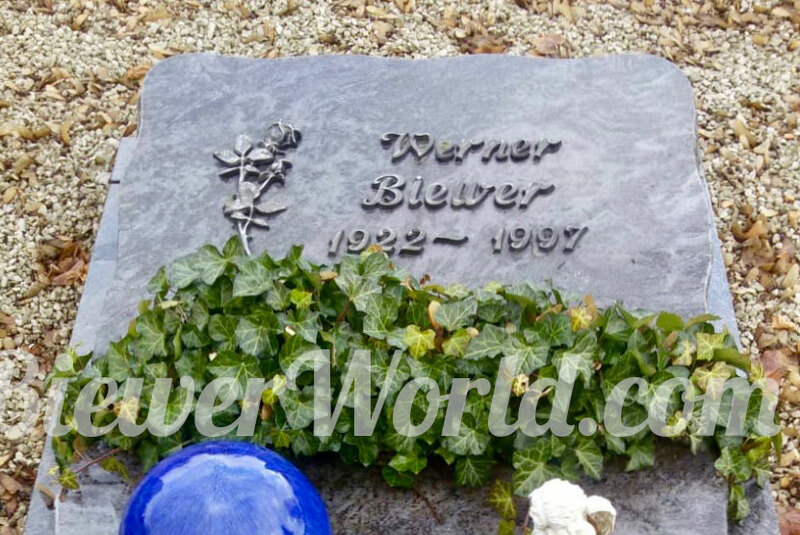 He lived a very happy and long life with the Biewers. 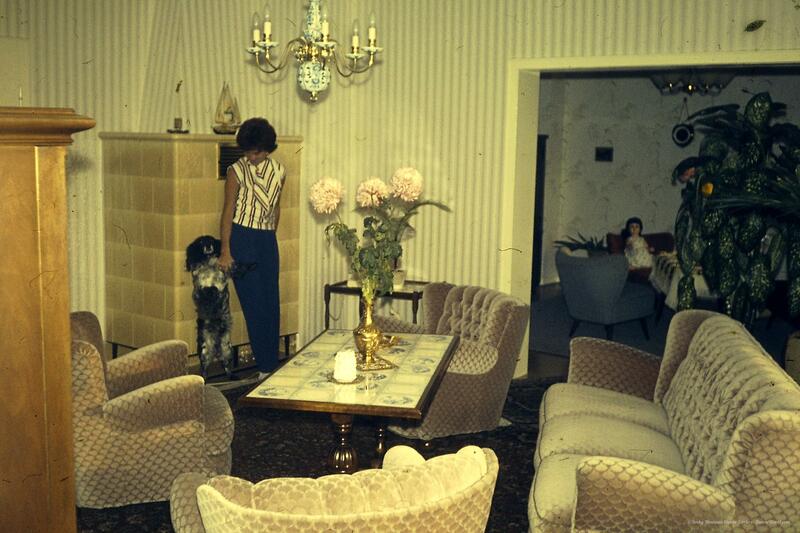 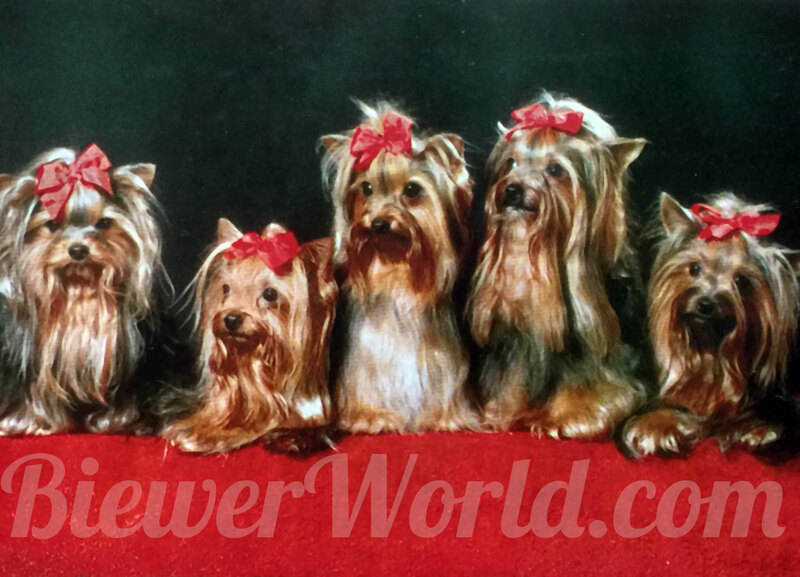 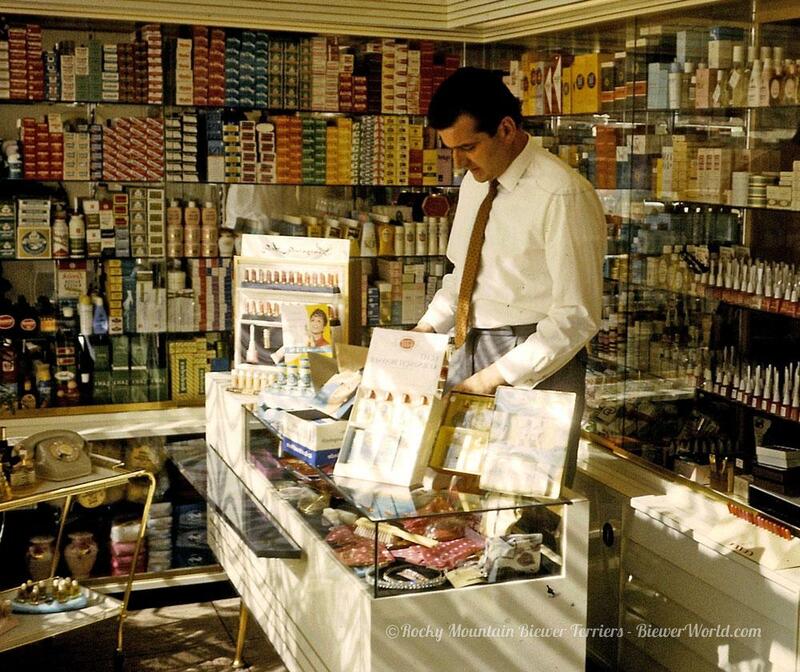 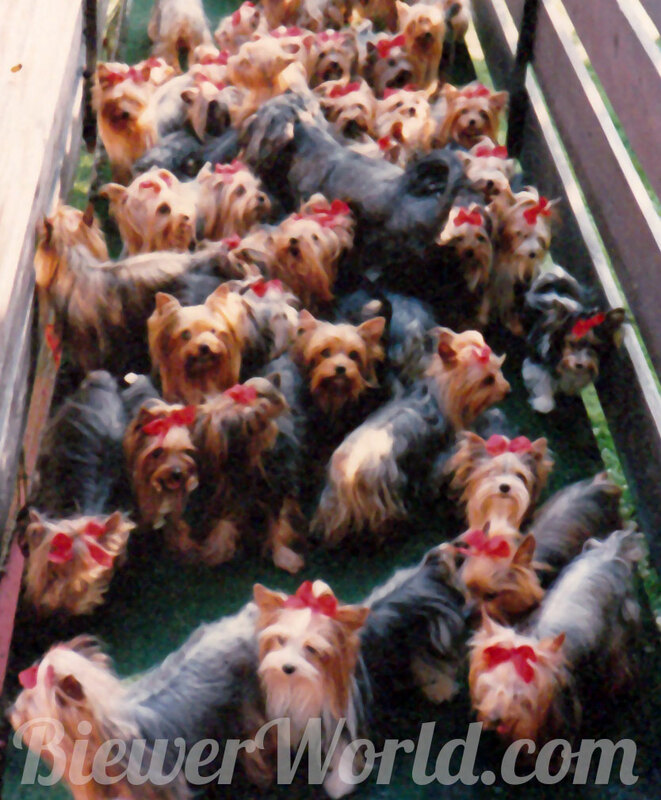 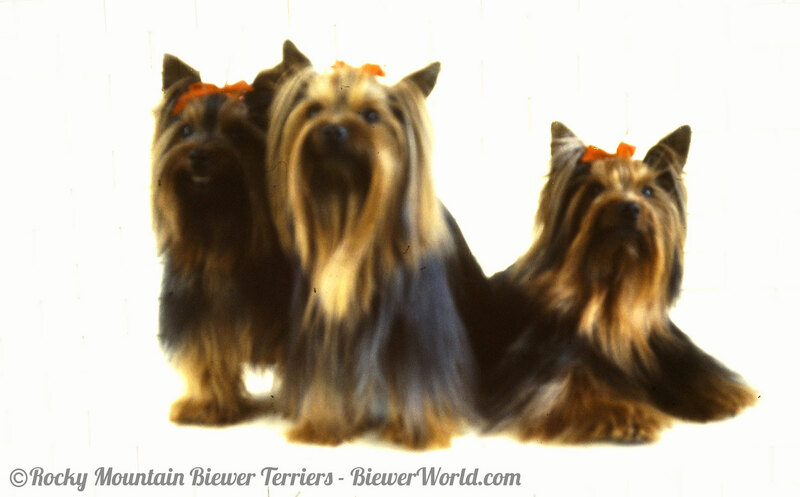 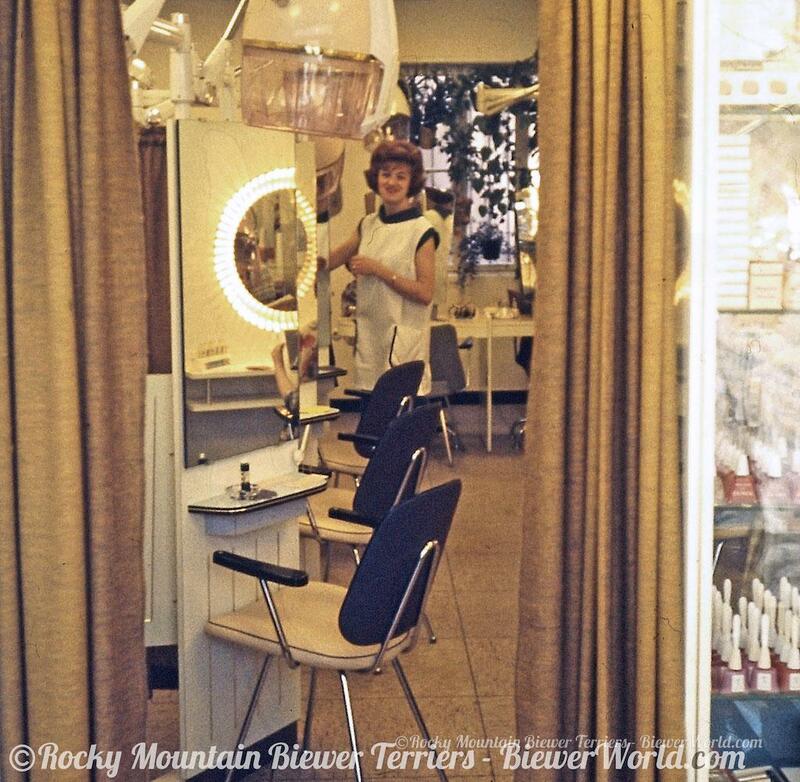 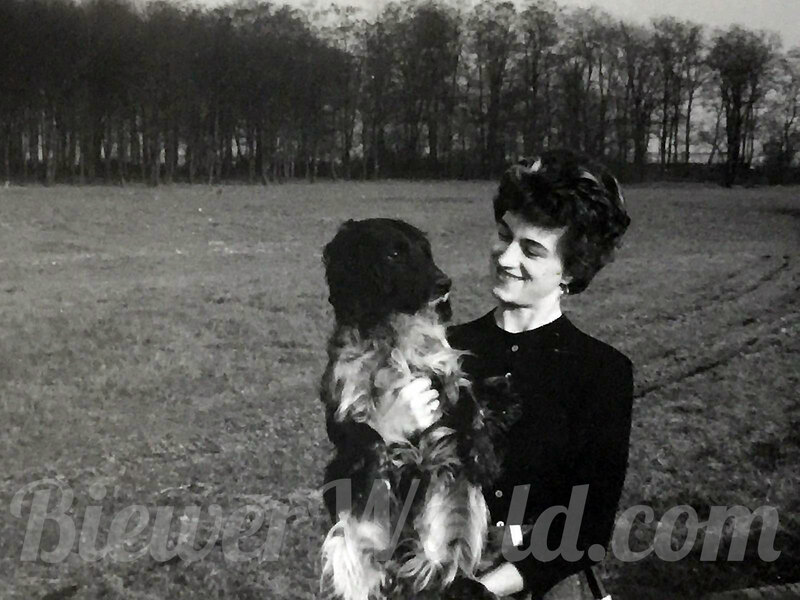 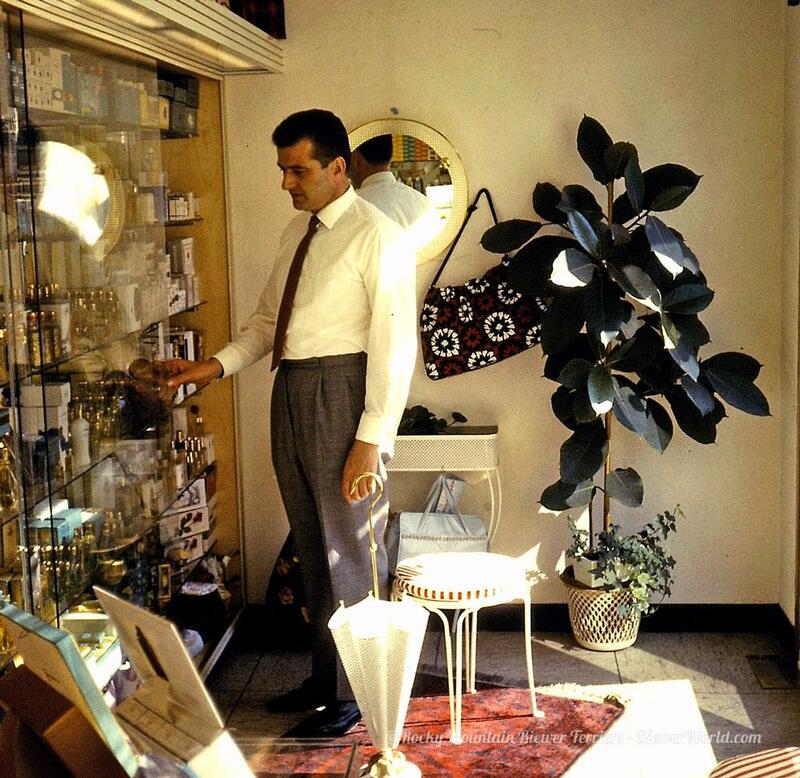 The “Salon Biewer” in Cologne was sold to one of the employees and Werner and Gertrud started raising Yorkshire Terriers in Hirschfeld, full time, at their Yorkshire Terrier Kennel “Friedhecck”. 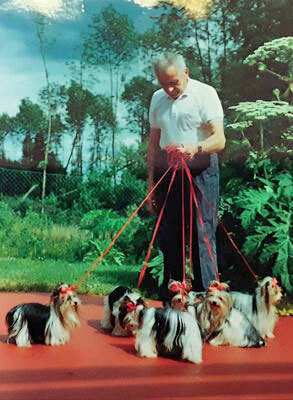 They traveled a lot and showed their dogs and won many titles and awards. 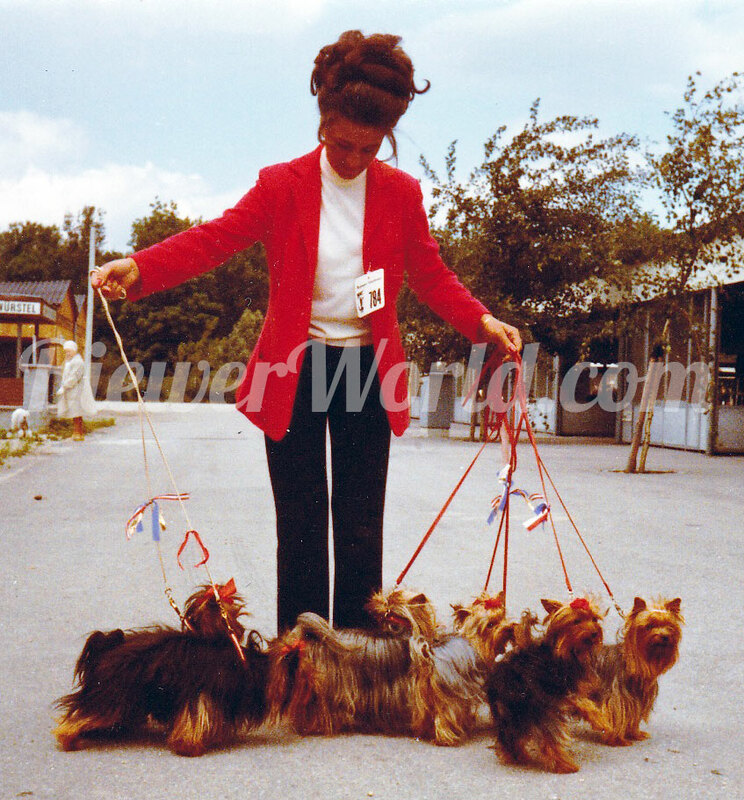 Gertrud often went to London, to buy Yorkie Puppies from the Streamglen. 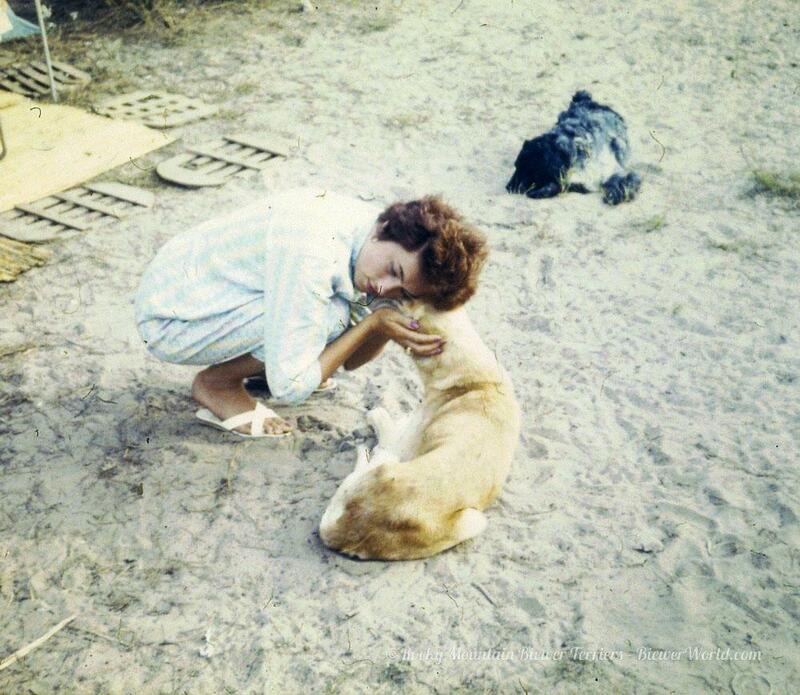 She did not speak any English but her sister Anneliese who worked on a Military base spoke a little bit, so they always went together. 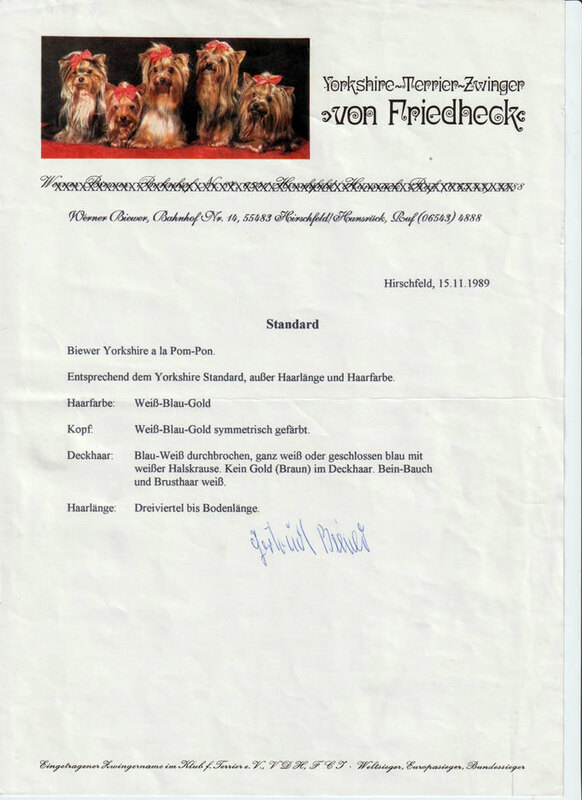 They smuggled puppies for their breeding program under the seat into Germany. 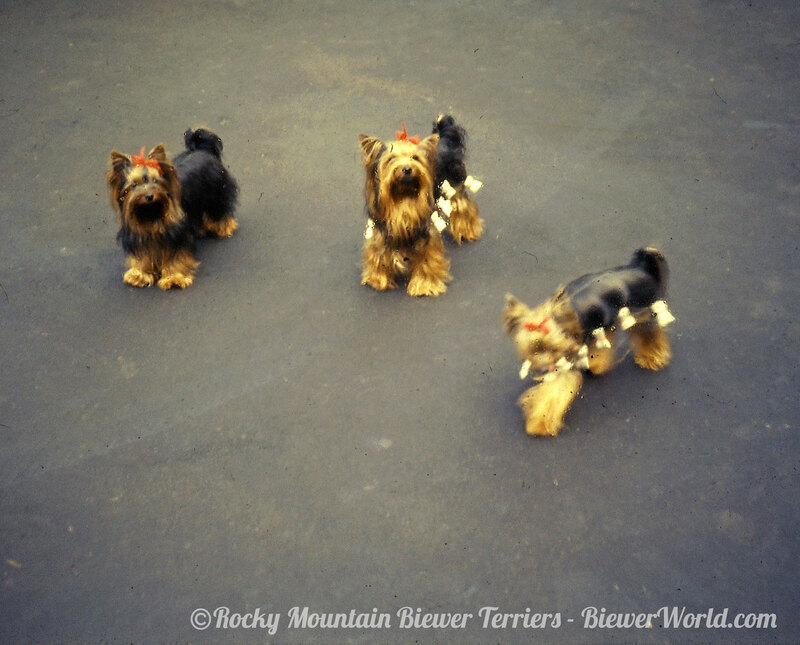 Monika remembered in 1973, when her aunt Geertrud came home from London, with a super cute and tiny Yorkshire Terrier male. 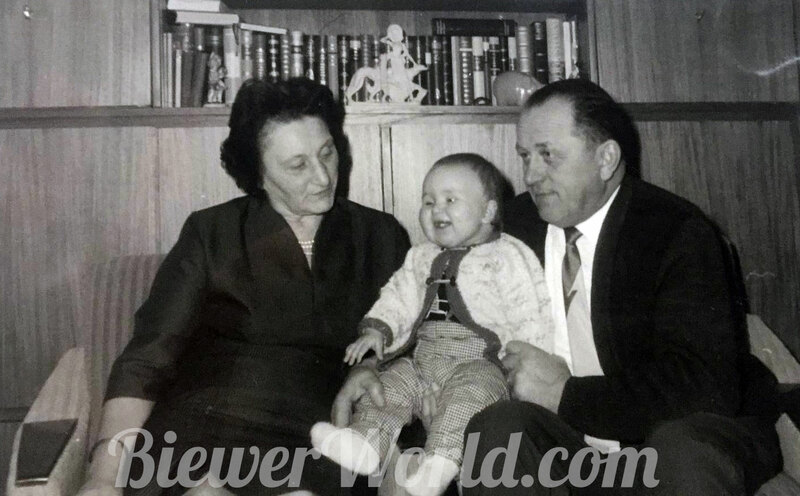 His name was Stremglen Richard and he cost over $15,000. 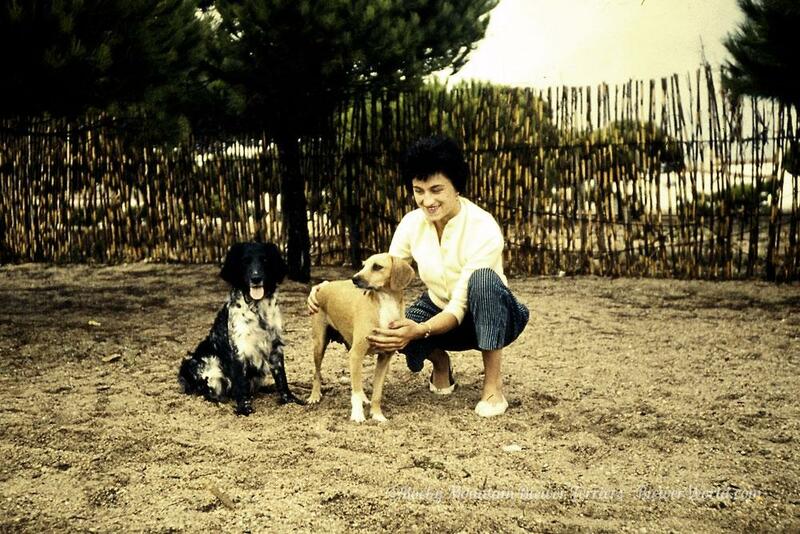 This little Richard was FruFru’s grandfather on both sides. 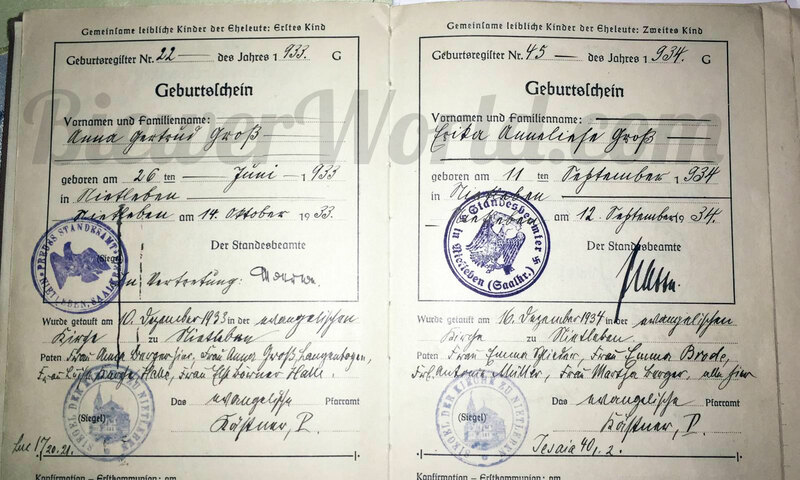 He was also Darling’s grandfather on both sides. 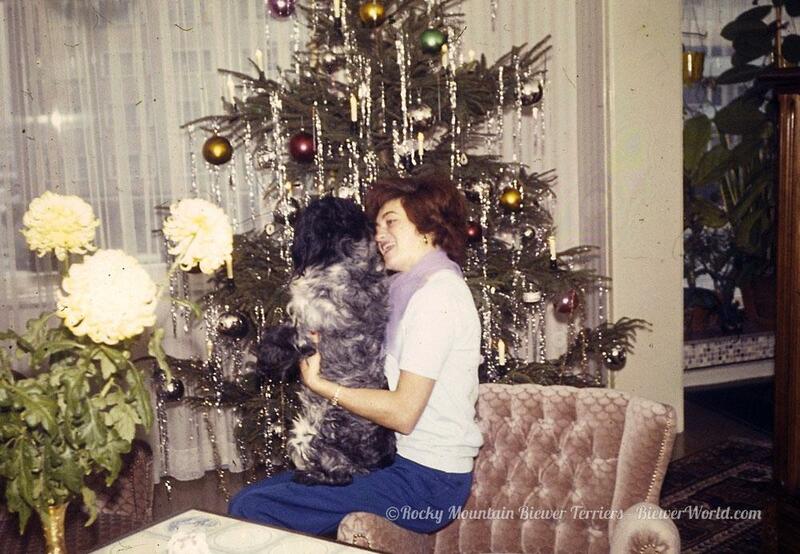 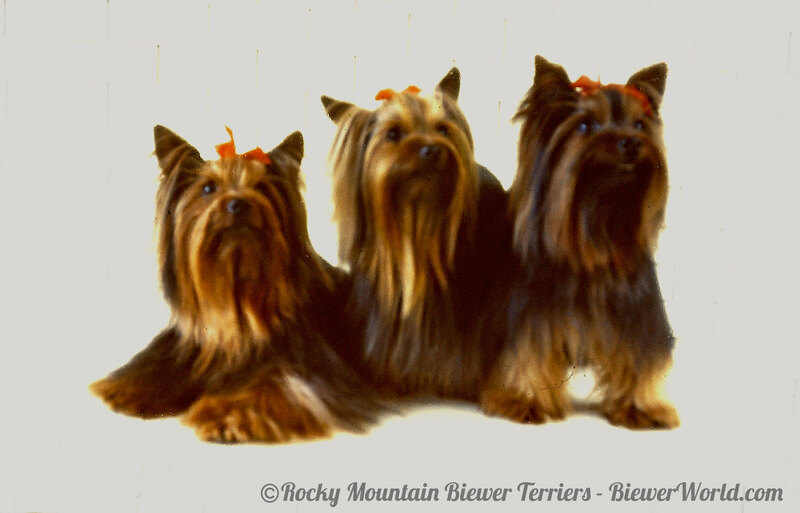 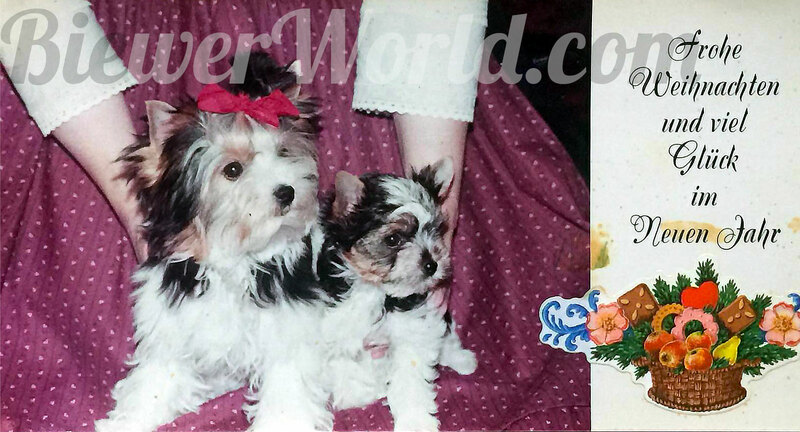 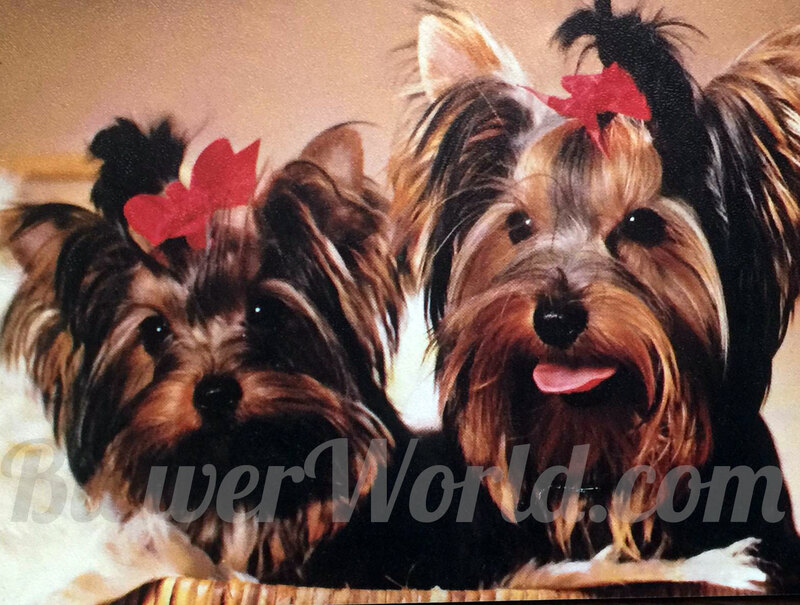 FruFru von Friedheck and Darling von Friedheck then had the very first 3-colored Yorkie puppy, born in 1984 in the Friedheck Kennel in Hirschfeld. 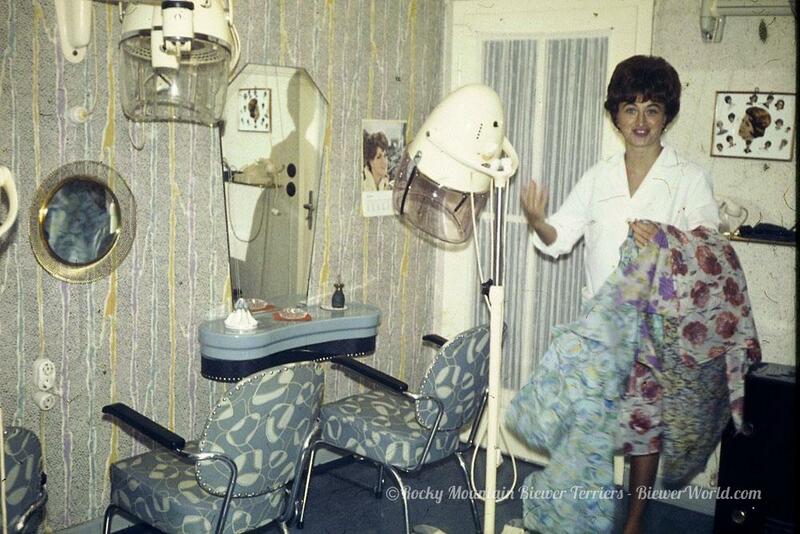 Hair Salon BiewerIn the 60s' Werner & Gertrud were both Hair Dressers and had a Ladies Hair Salon in Cologne near the famous Cologne Cathedral. 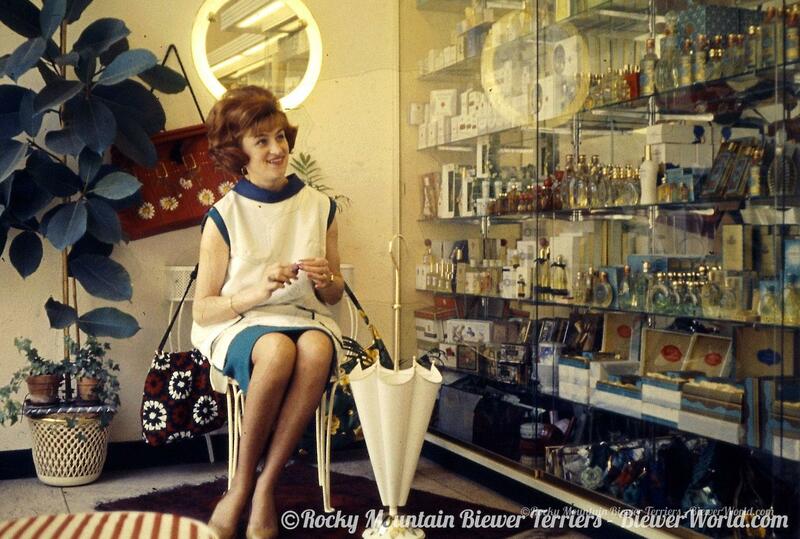 Gertrud at her SalonTheir little apartment was right above the Salon Biewer. 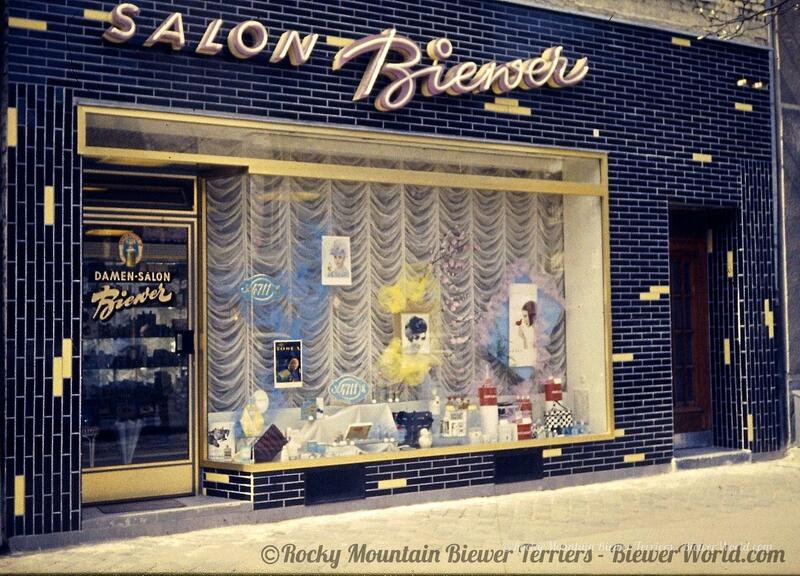 Hair Salon BiewerThe Salon went really well and Werner always said: "When we make our first Million, we will pack up and move to the countryside and buy a house and retire." 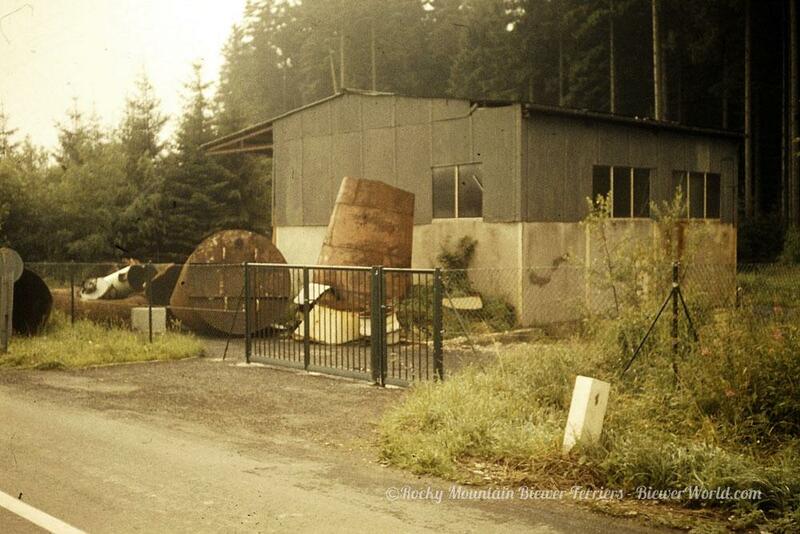 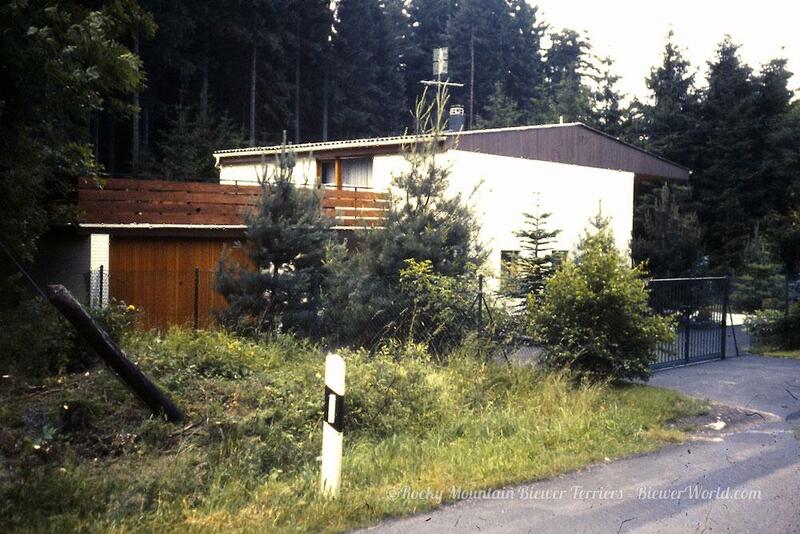 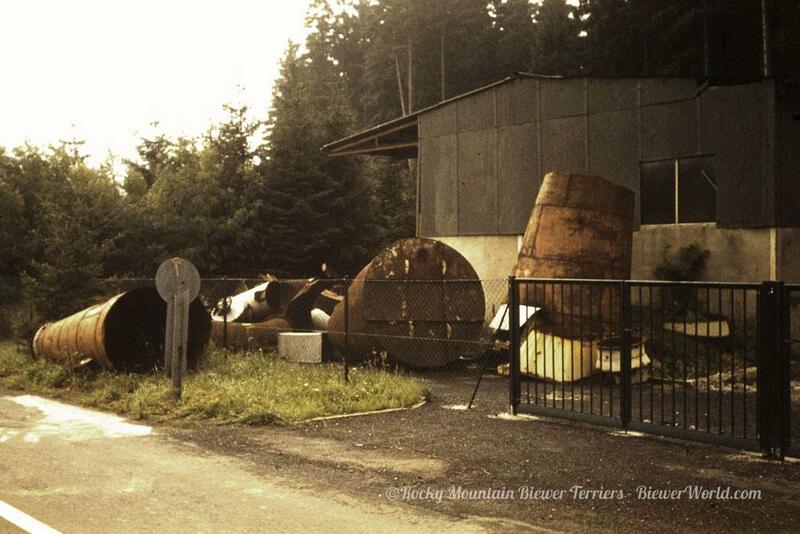 The Biewer Property in Hirschfeld before remodelWerner & Gertrud purchased a vacation property in Hirschfeld, Germany. 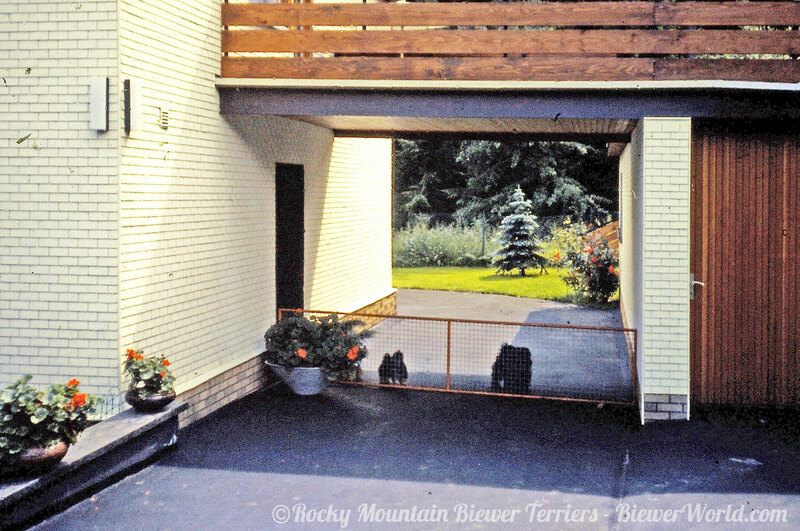 The property had no permit for a house but the Biewers turned an old barn building into their home. 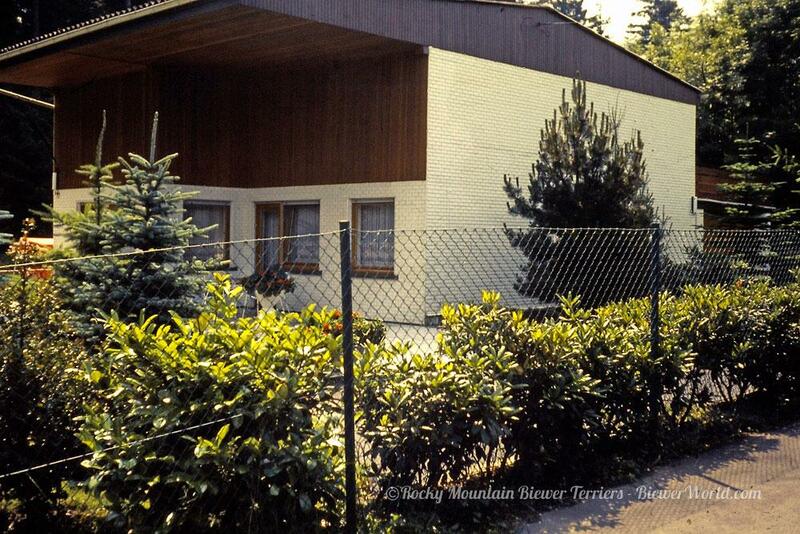 The Biewers property in HirschfeldWhile they had the hair salon in Cologne, they spent the weekends working on their new property. 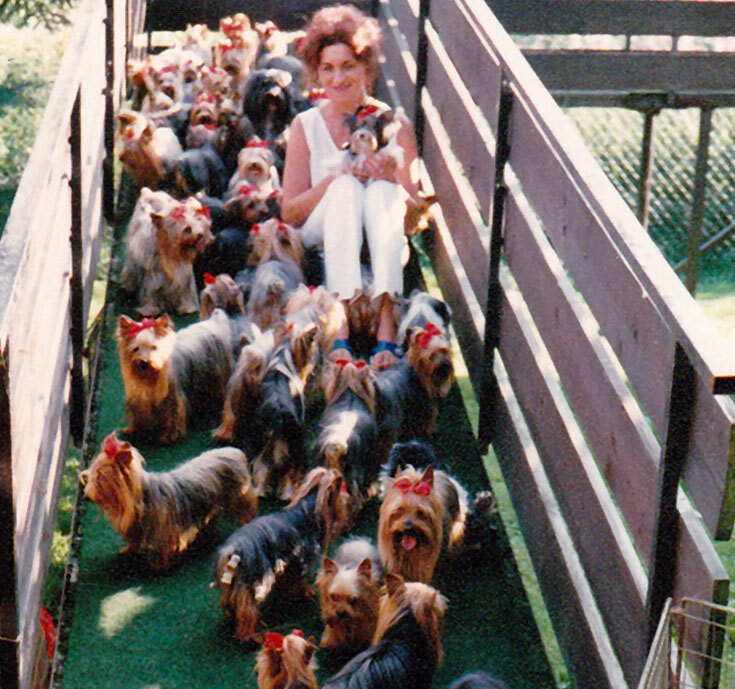 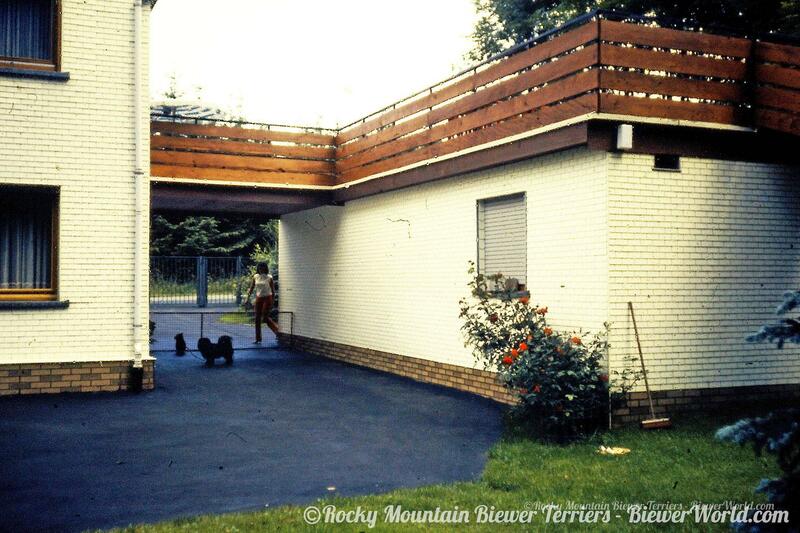 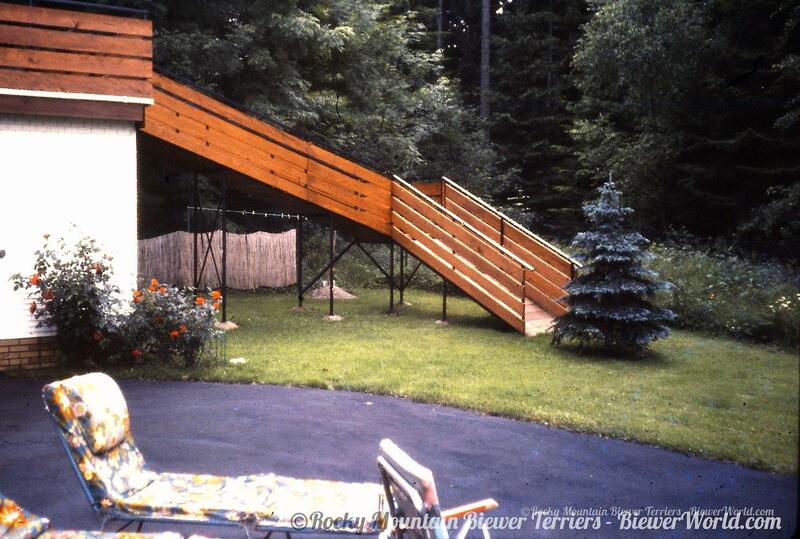 Gertrud Biewer and her dogsGertrud and her Yorkshire Terriers on the doggy ramp at the house in Hirschfeld. The Biewers had about 70 dogs in total. 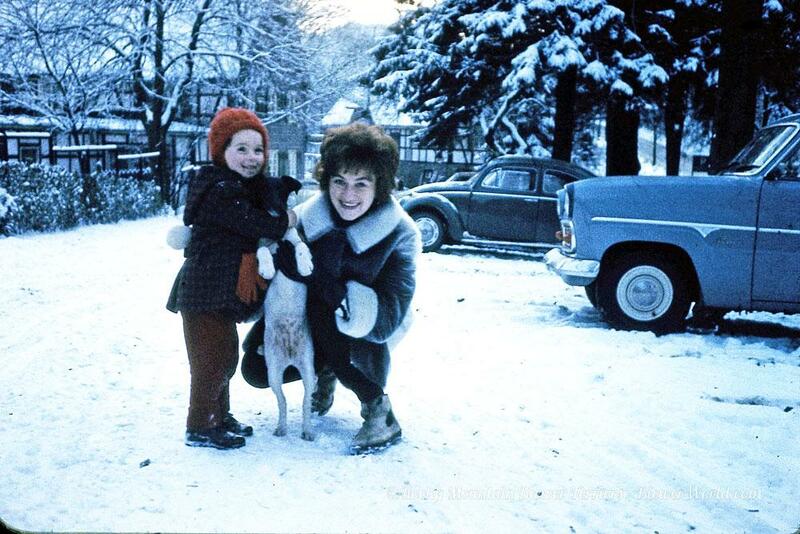 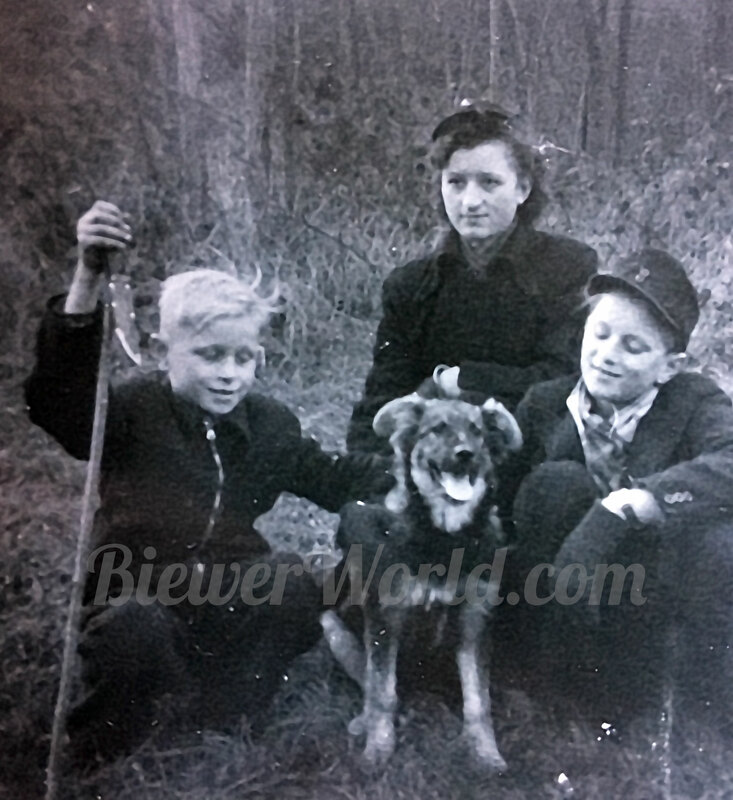 Familie-Biewer-and-Dogs-in-WinterWerner & Gertrud Biewer. 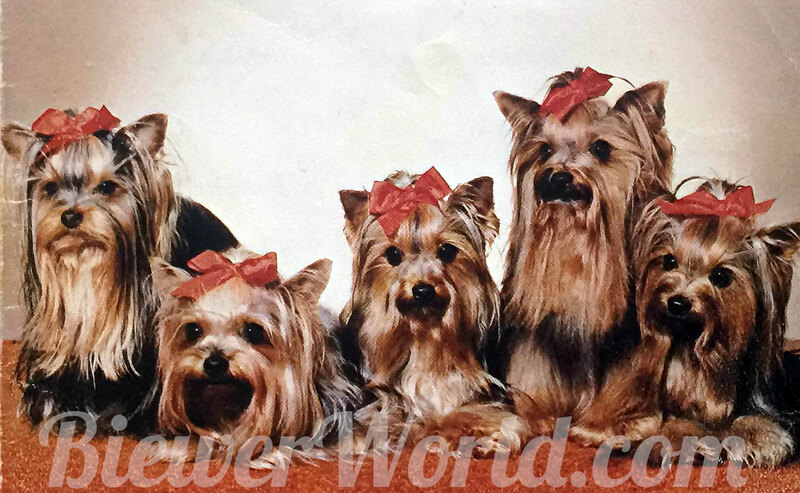 The German Shepard's name was Senta.